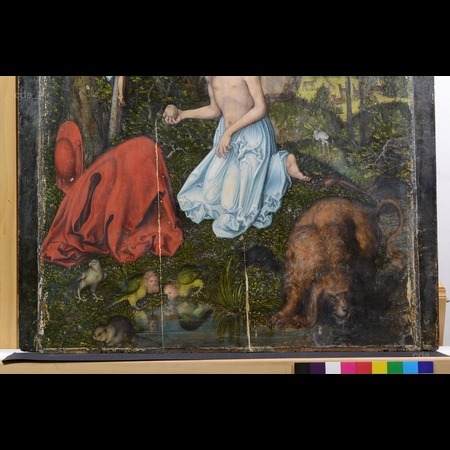 Place of Publication Munich, Berlin, London et al. 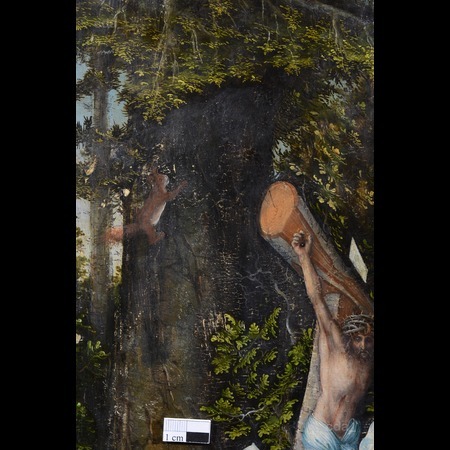 See pdf document with article by Laura Resenberg, Neueste Erkenntnisse über das Holztafelgemälde "Hl. 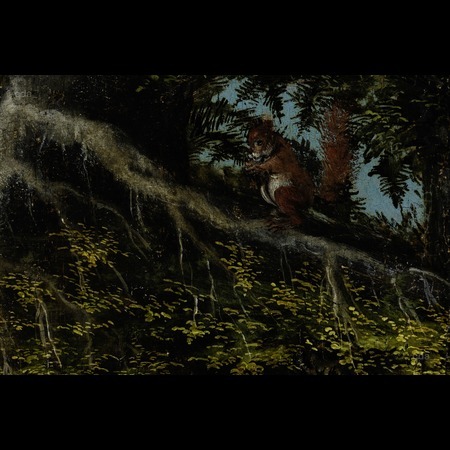 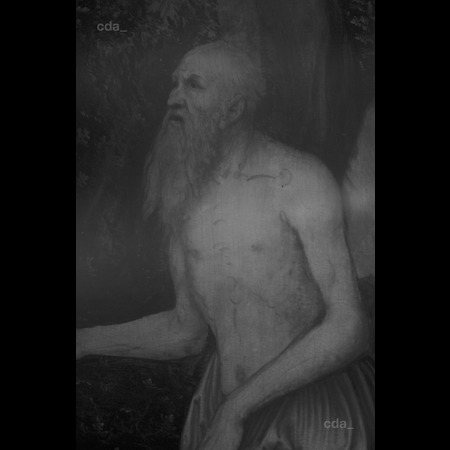 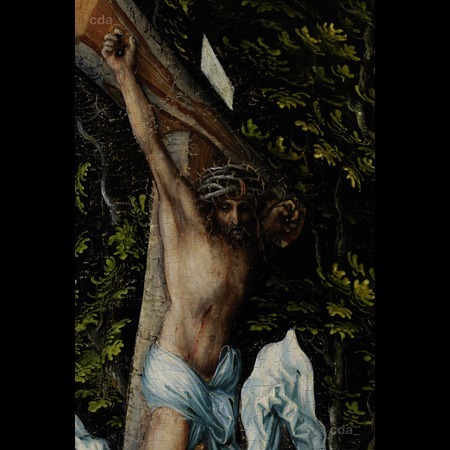 Hieronymus" von Lucas Cranach d. Ä, um 1525, Tiroler Landesmuseum Ferdinandeum Gem 116, first published in: Meighörner, Wolfgang (Hg. 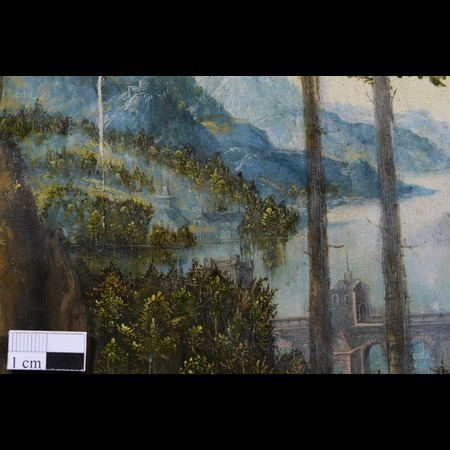 ), Wissenschaftliches Jahrbuch der Tiroler Landesmuseen 2014, Innsbruck 2014, S. 218-239. 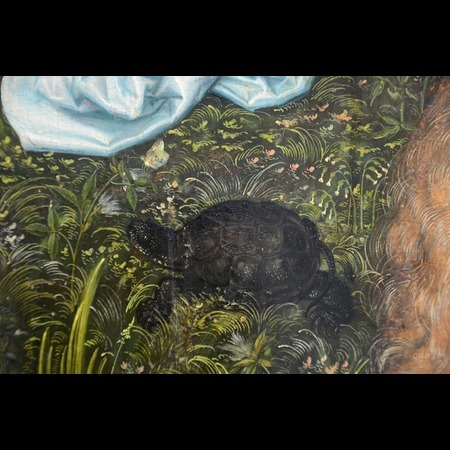 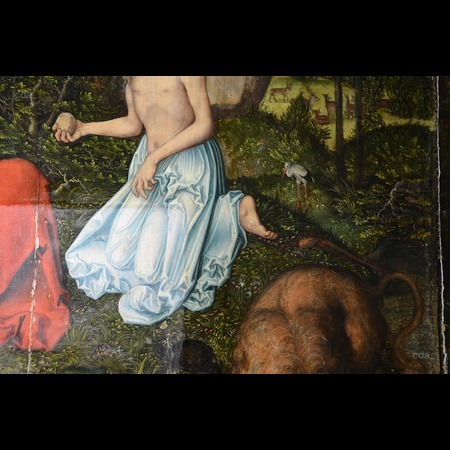 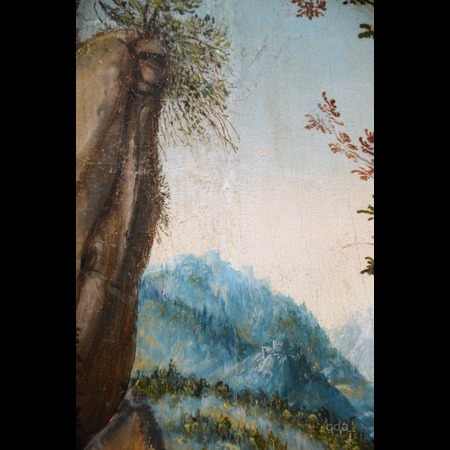 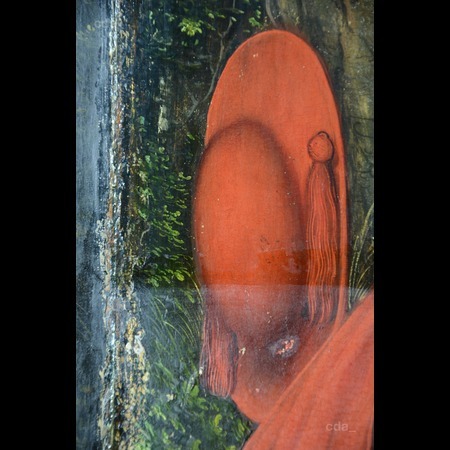 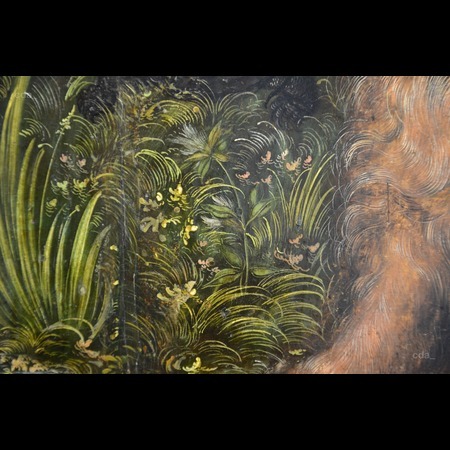 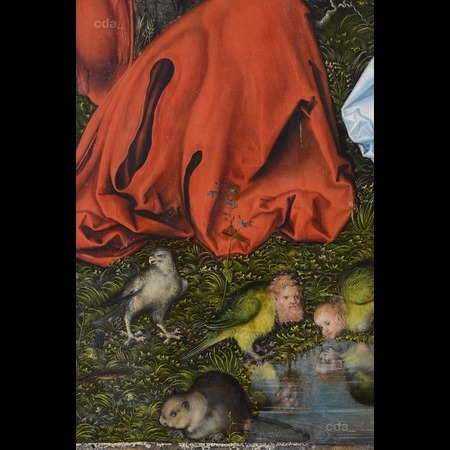 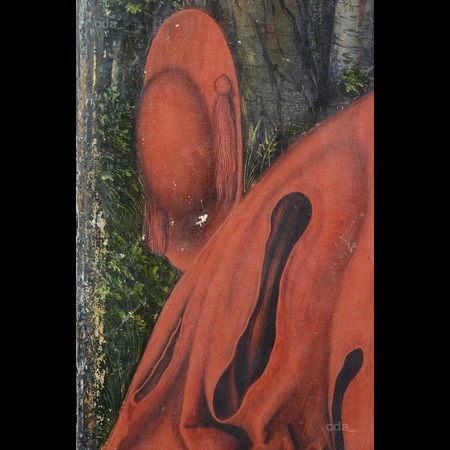 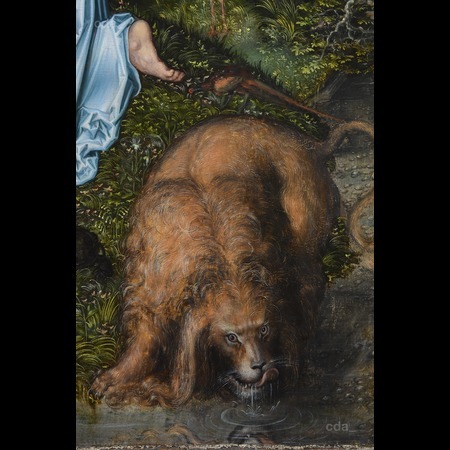 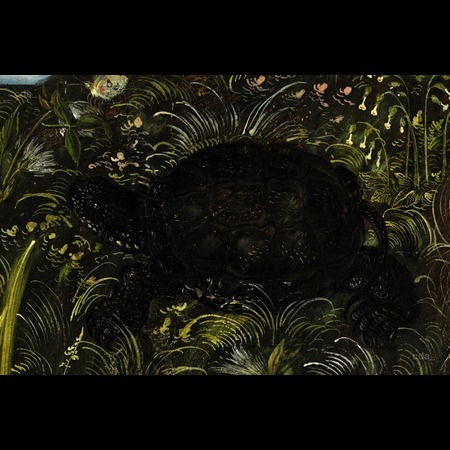 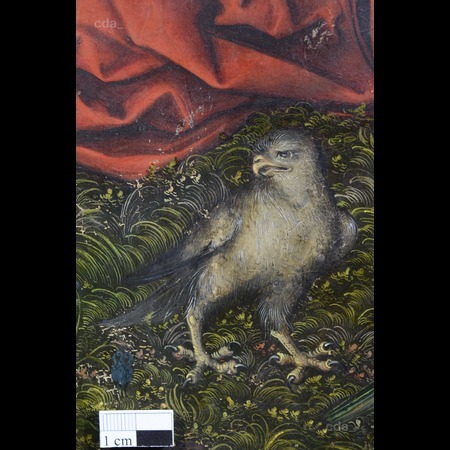 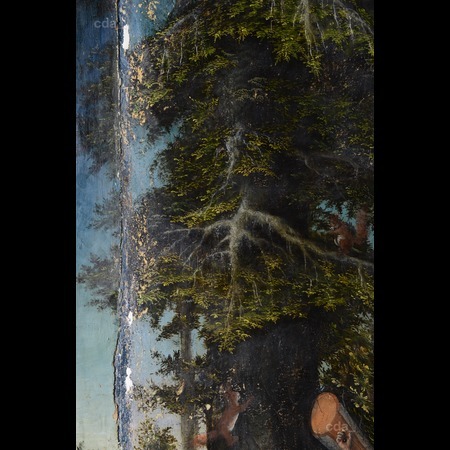 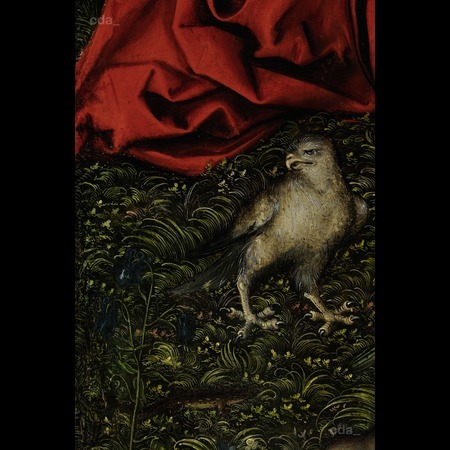 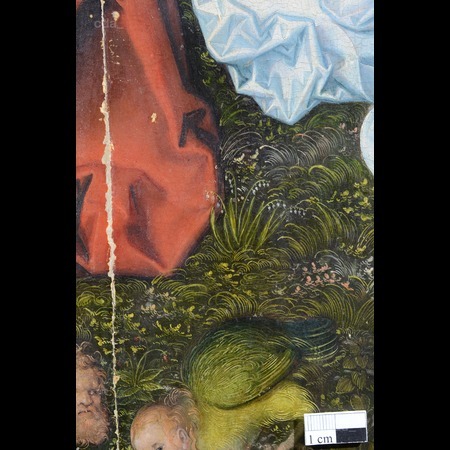 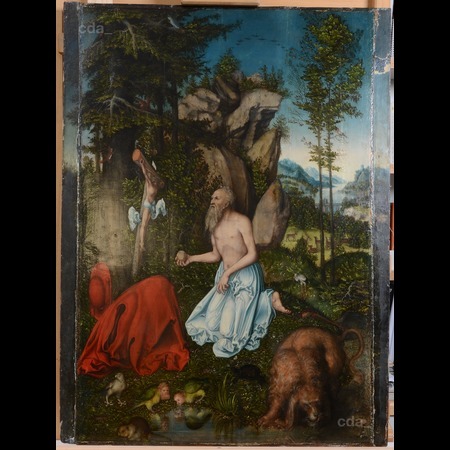 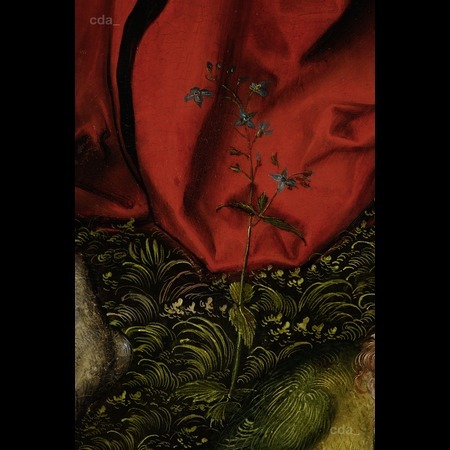 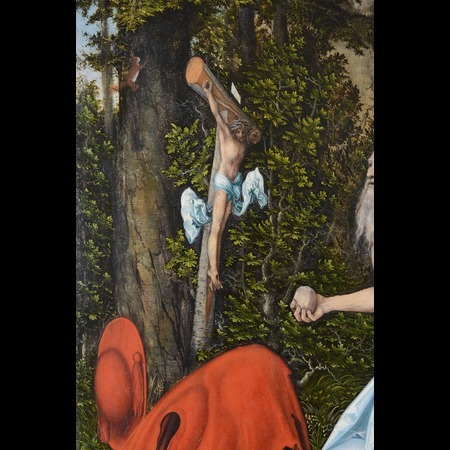 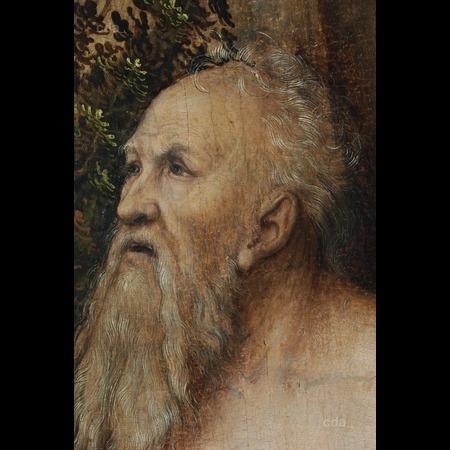 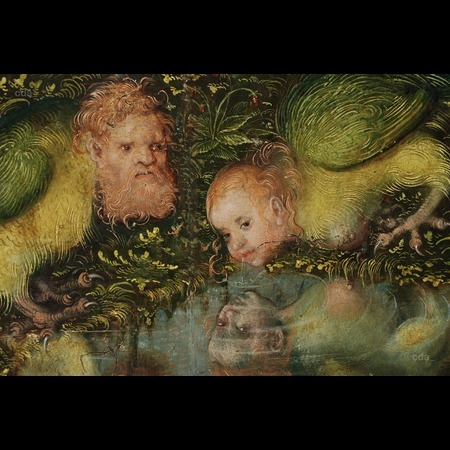 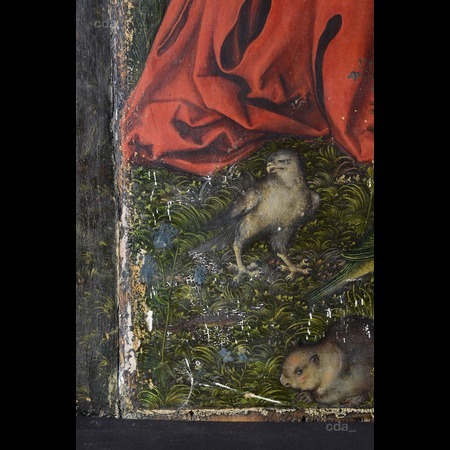 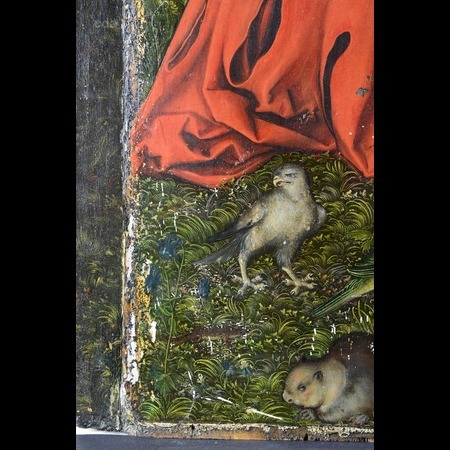 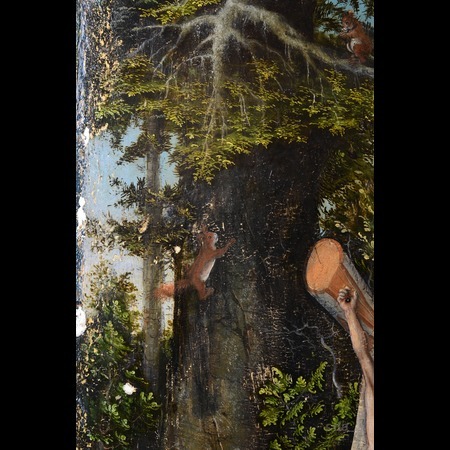 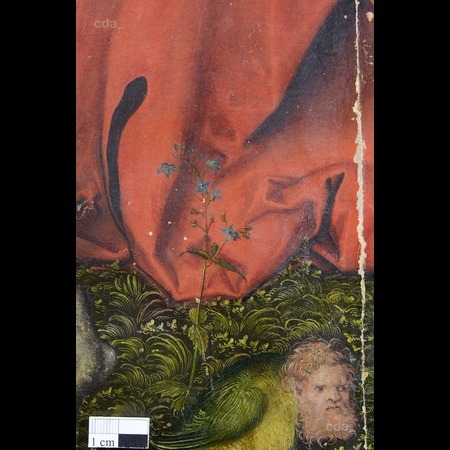 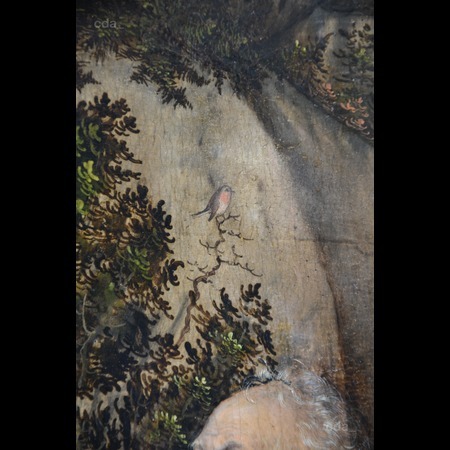 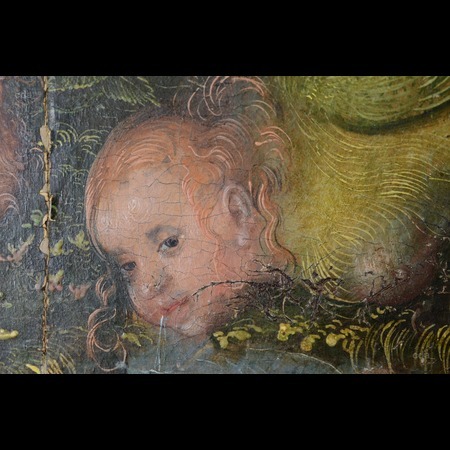 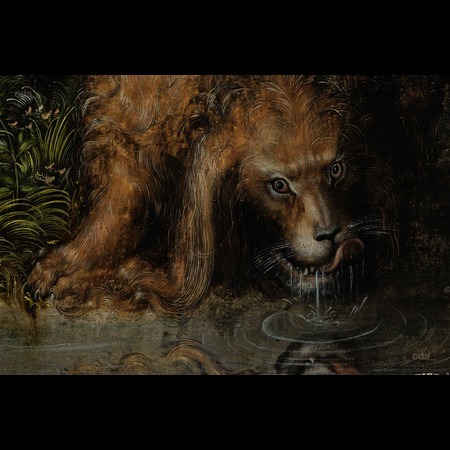 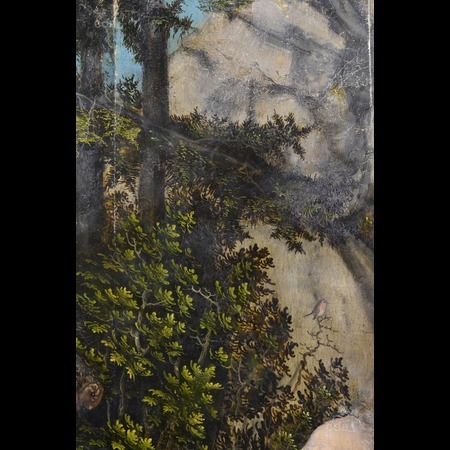 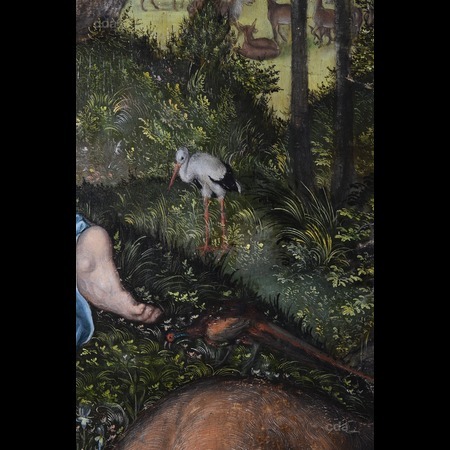 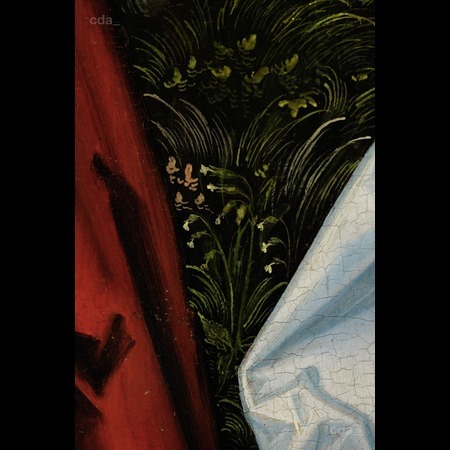 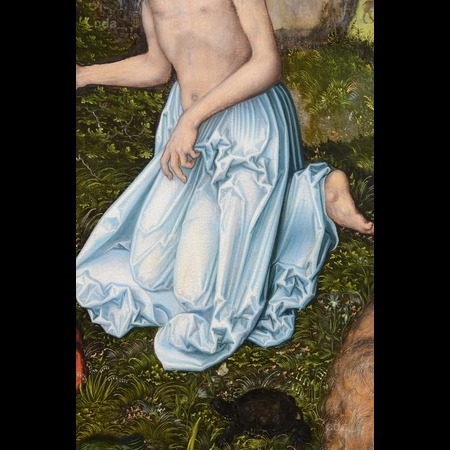 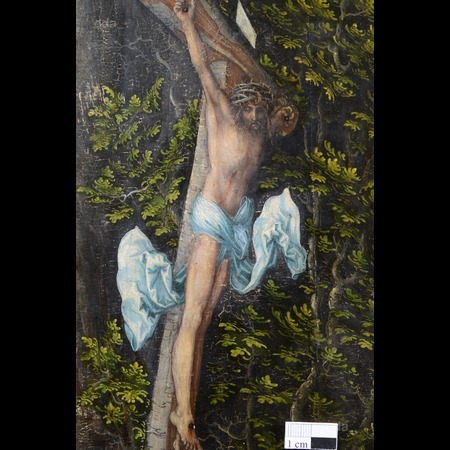 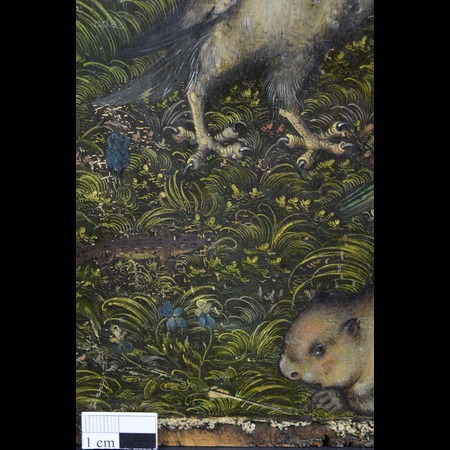 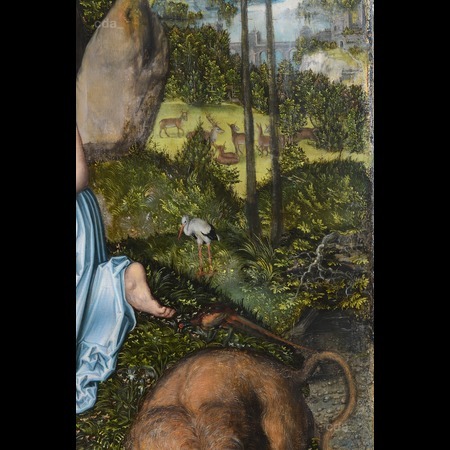 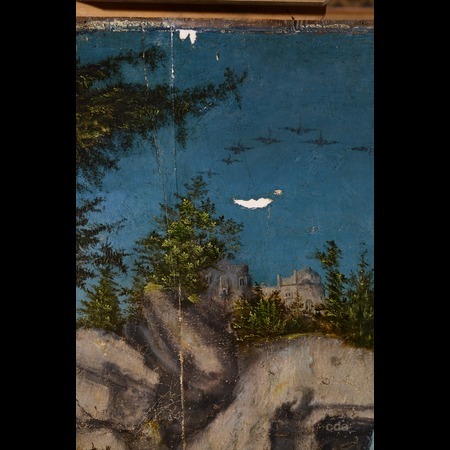 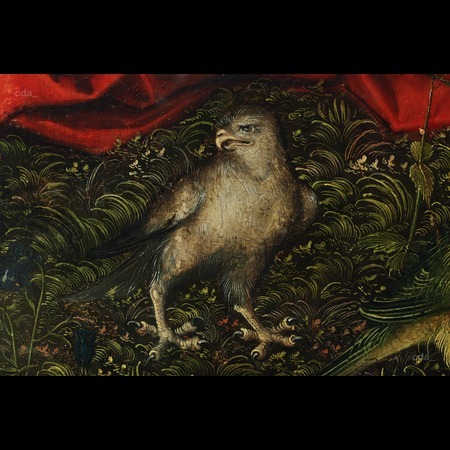 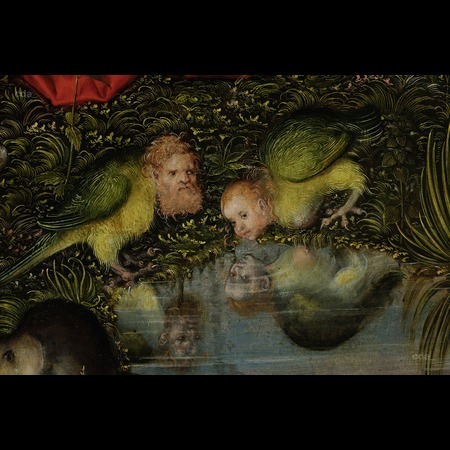 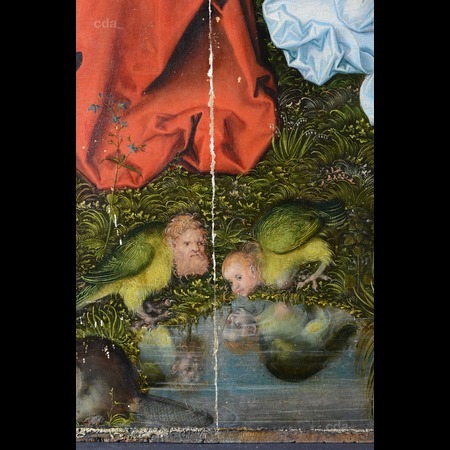 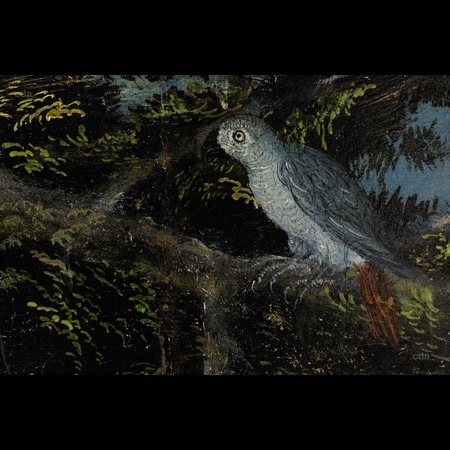 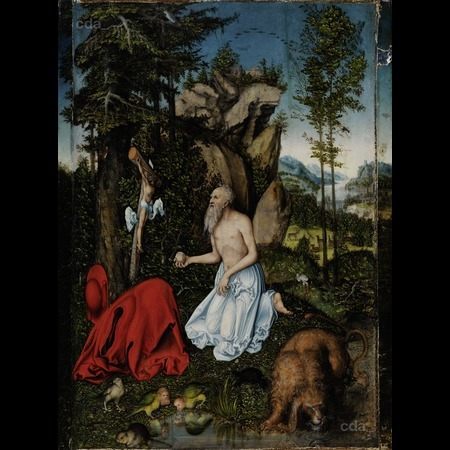 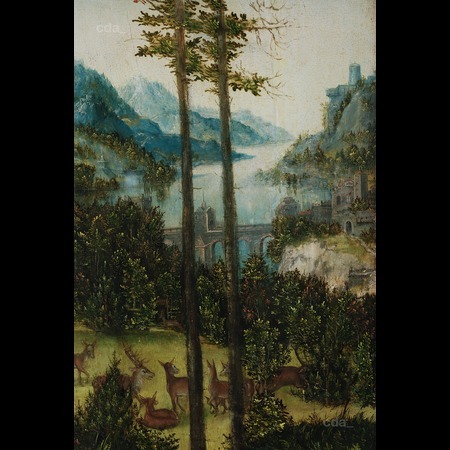 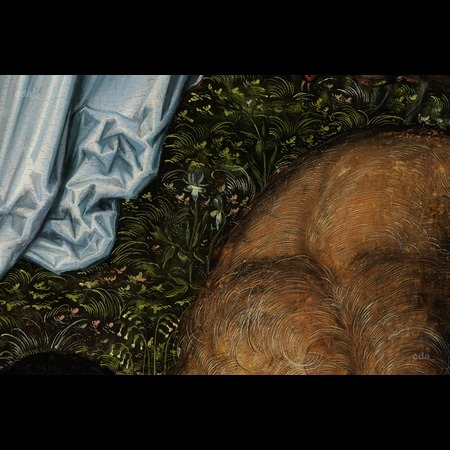 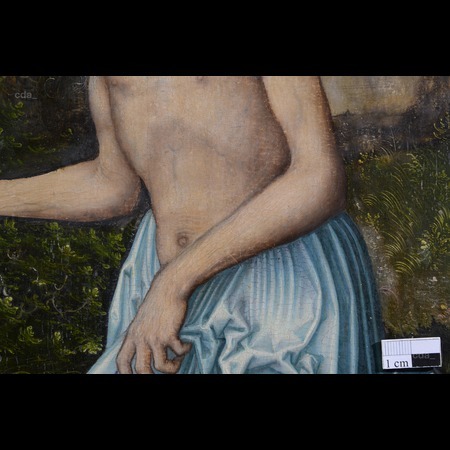 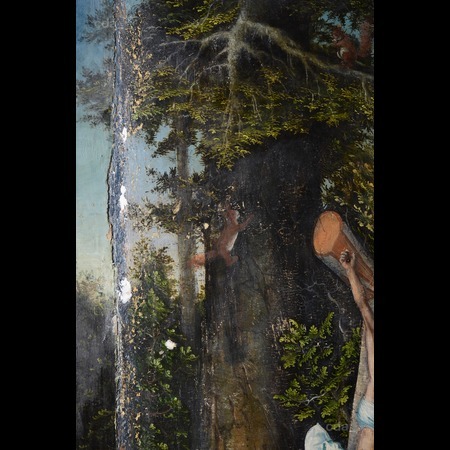 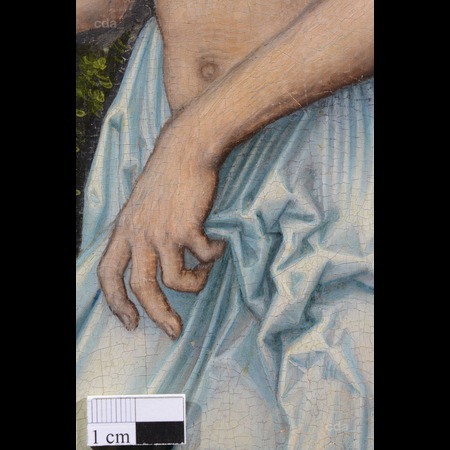 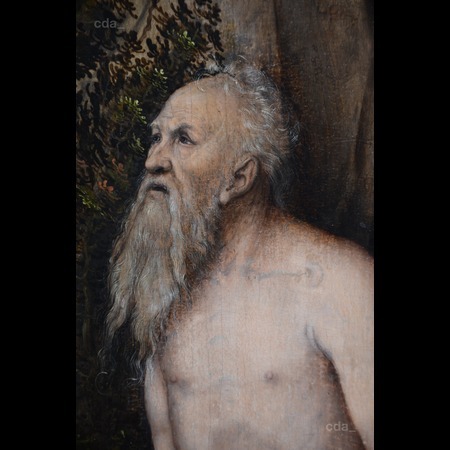 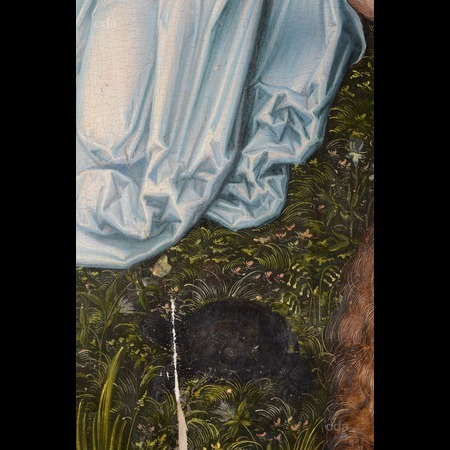 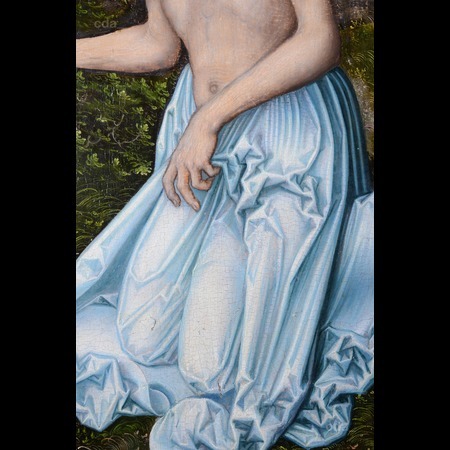 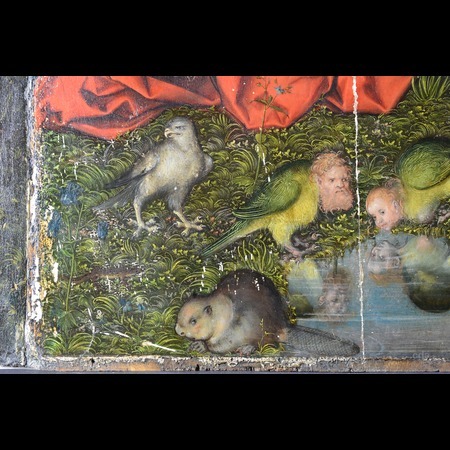 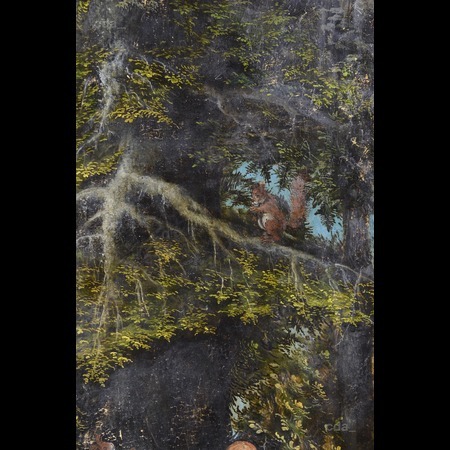 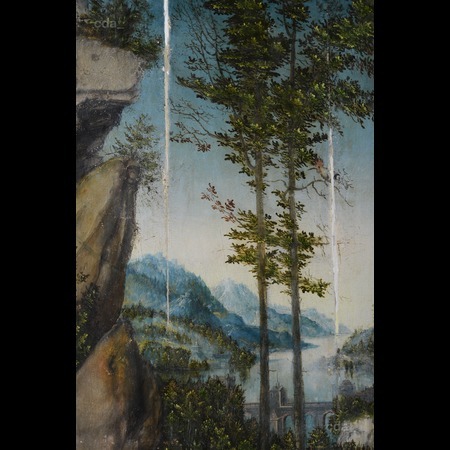 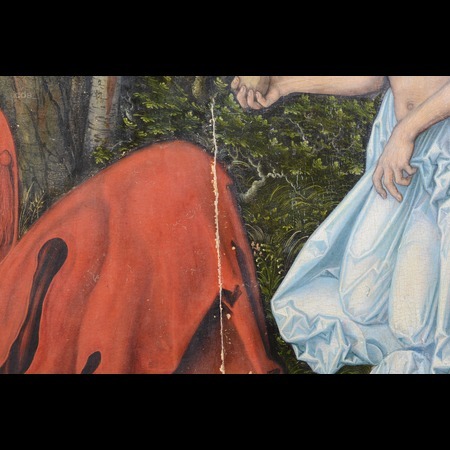 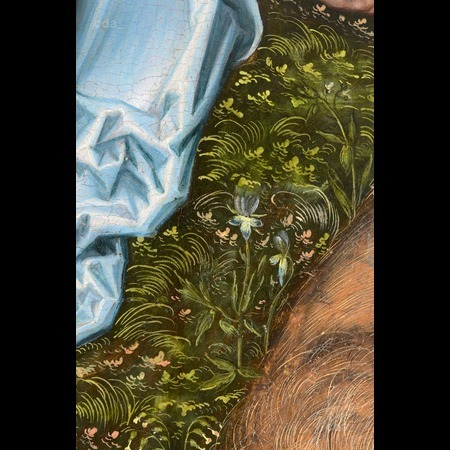 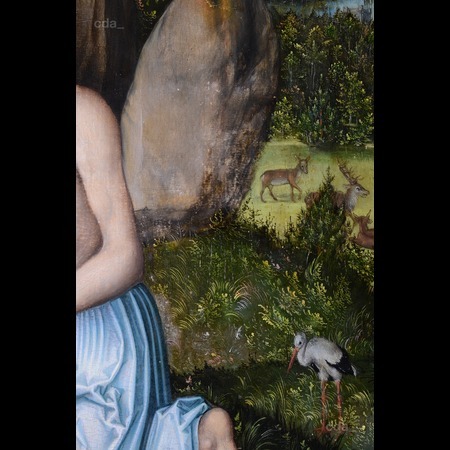 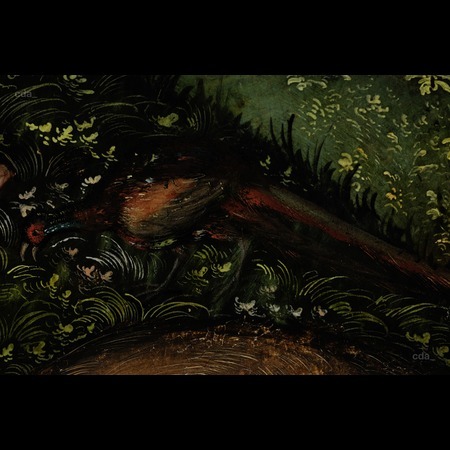 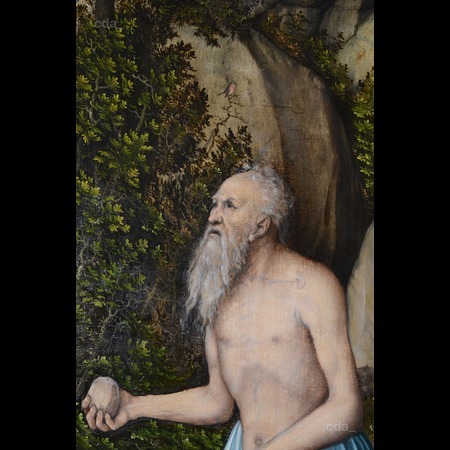 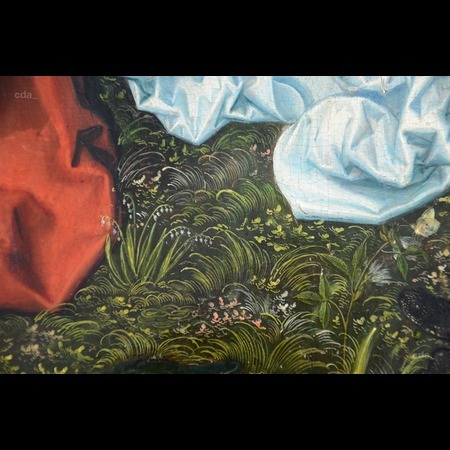 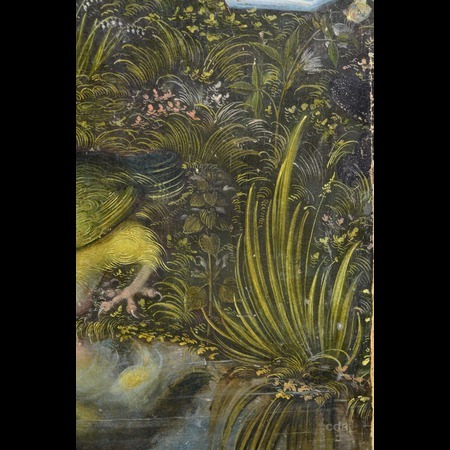 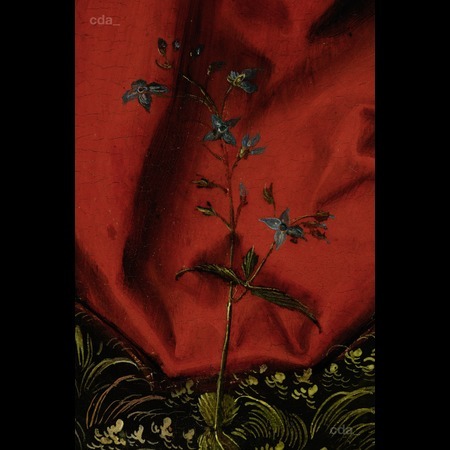 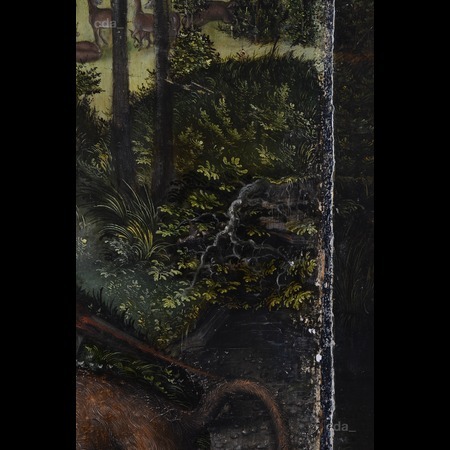 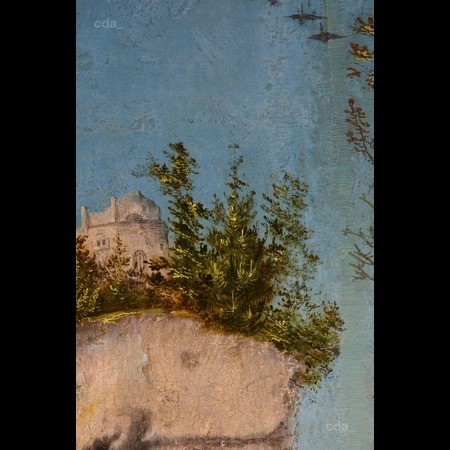 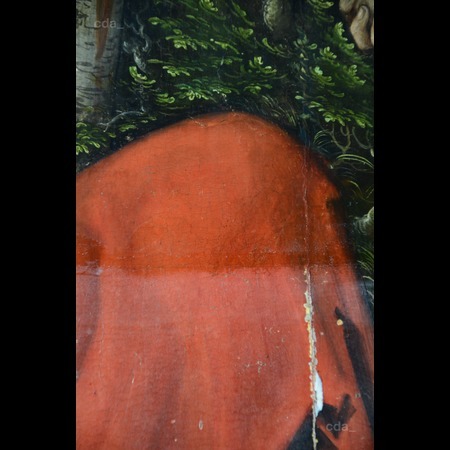 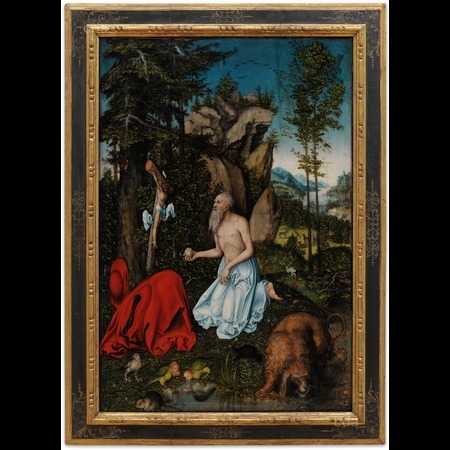 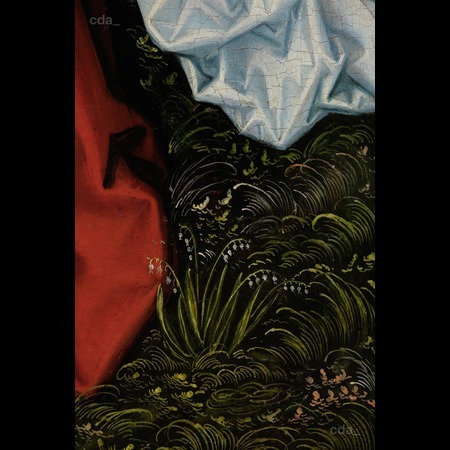 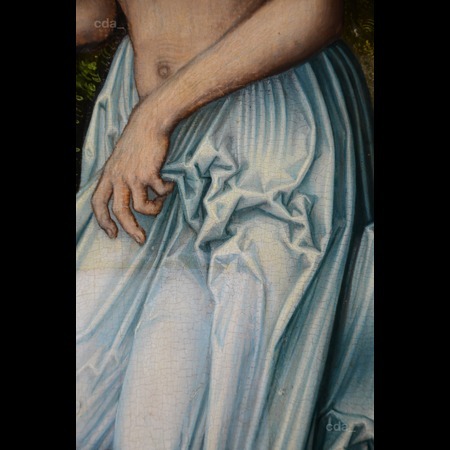 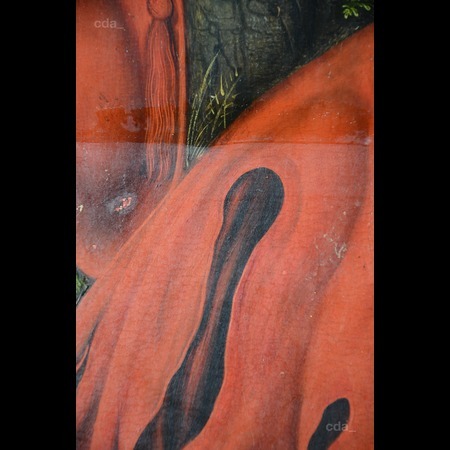 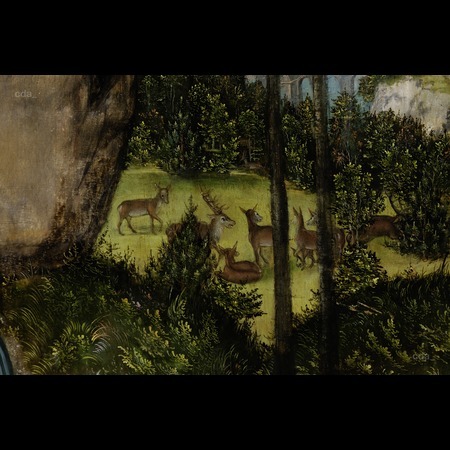 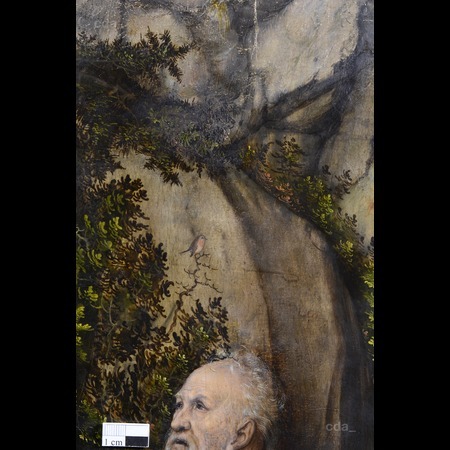 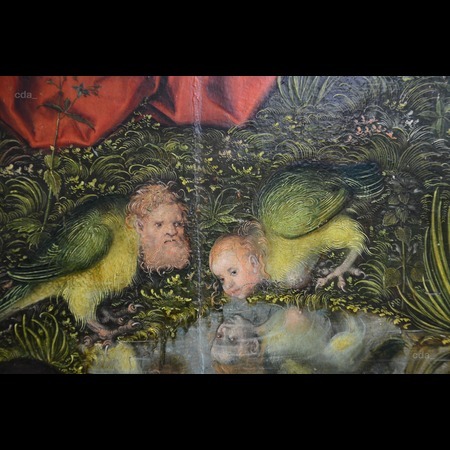 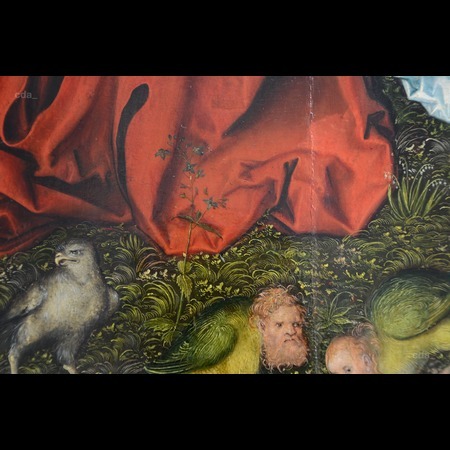 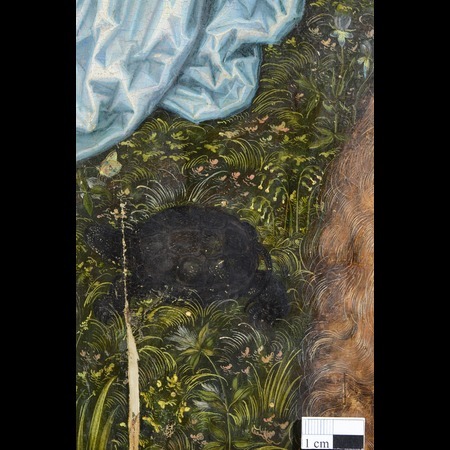 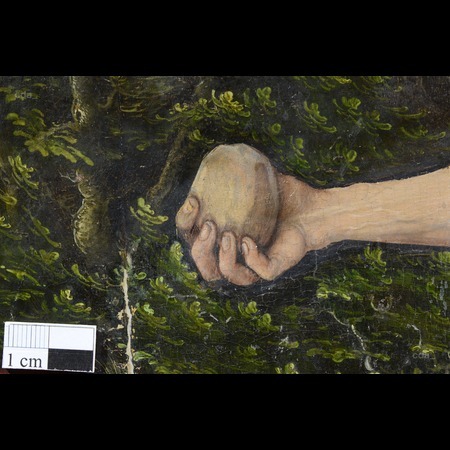 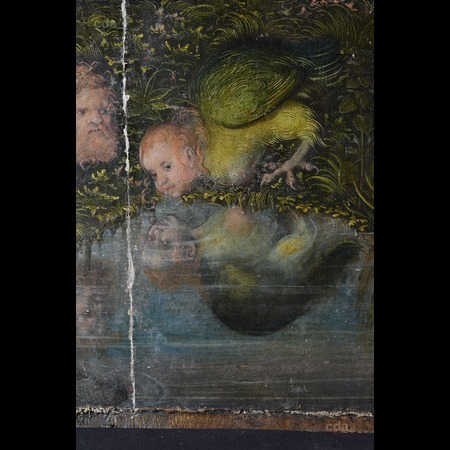 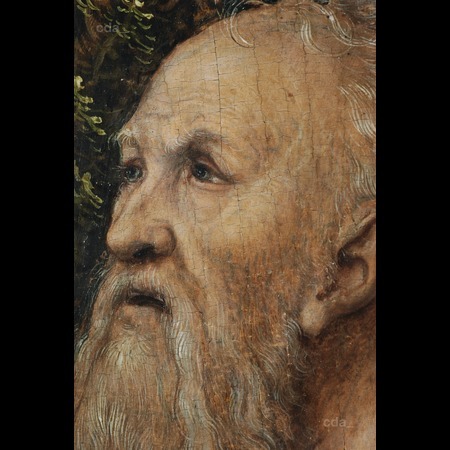 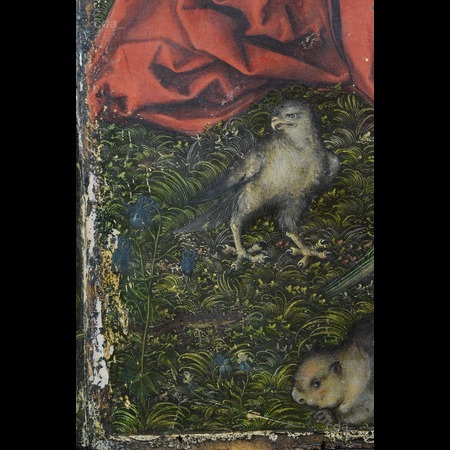 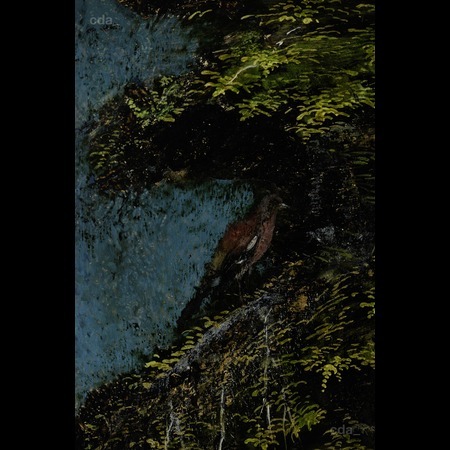 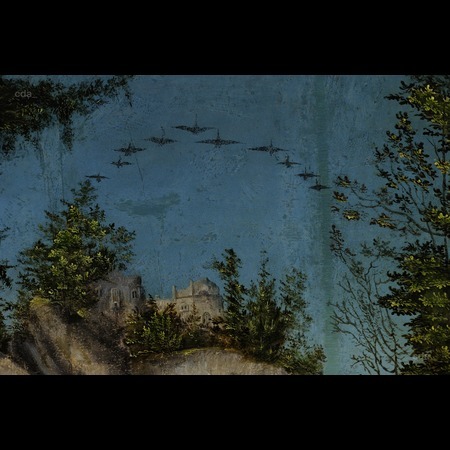 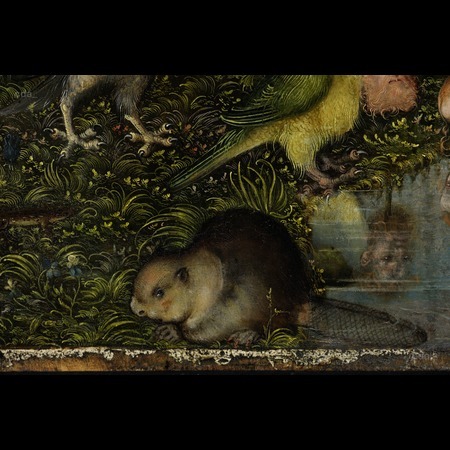 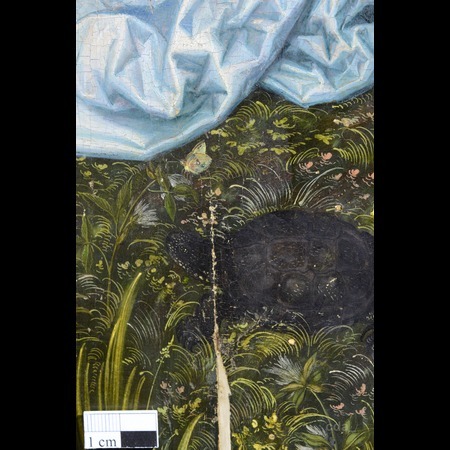 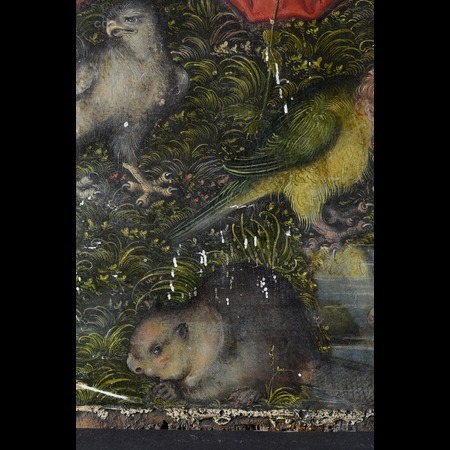 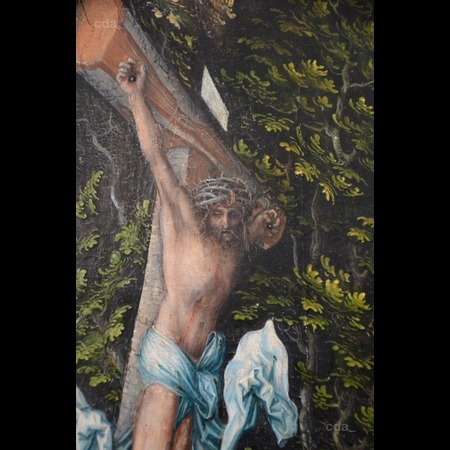 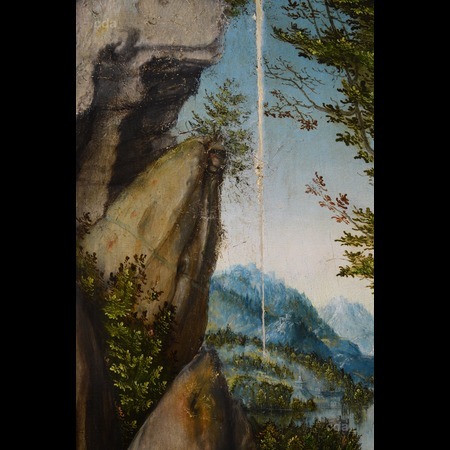 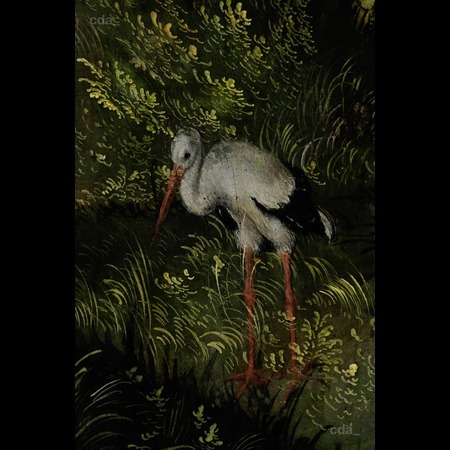 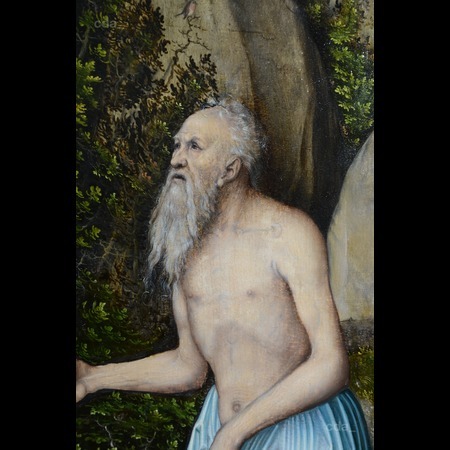 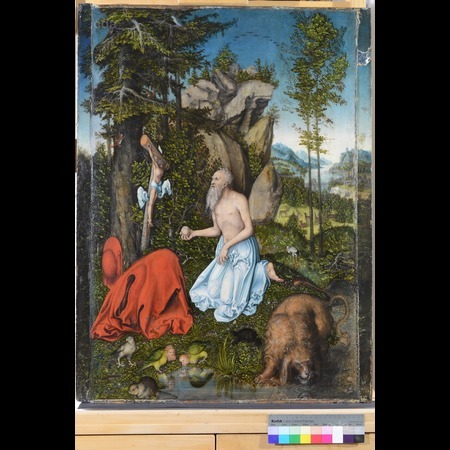 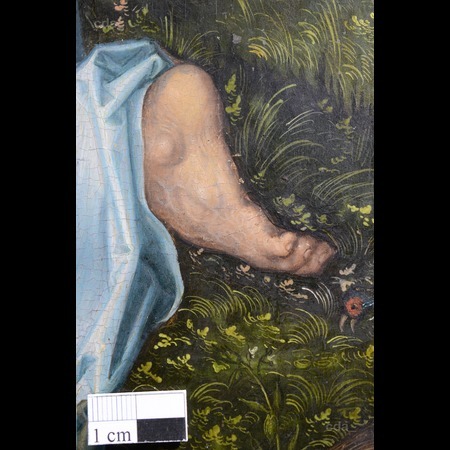 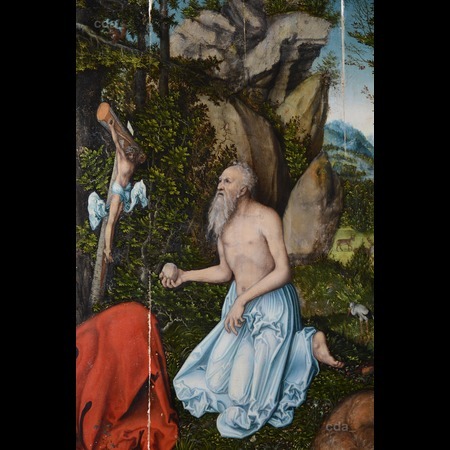 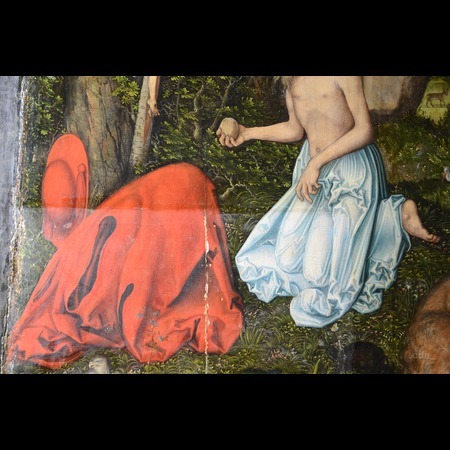 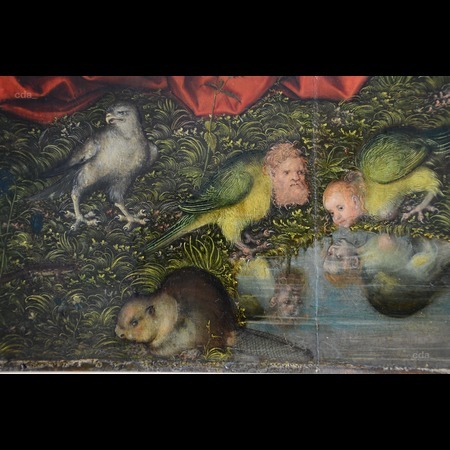 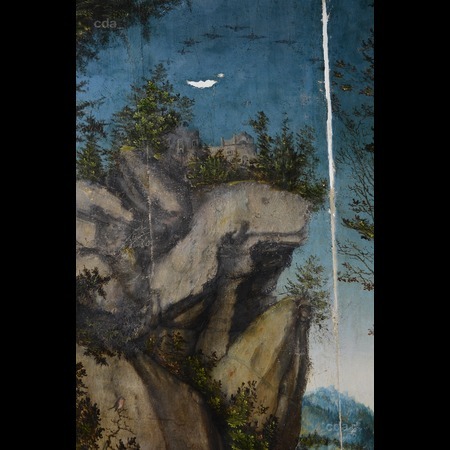 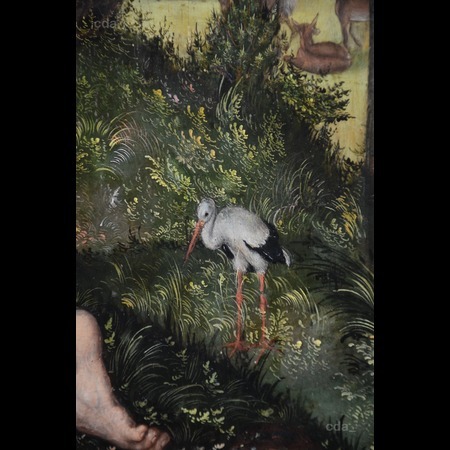 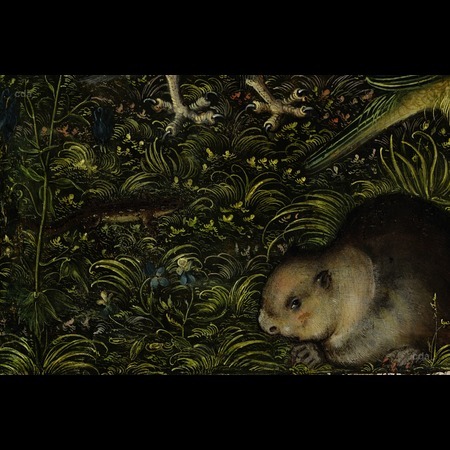 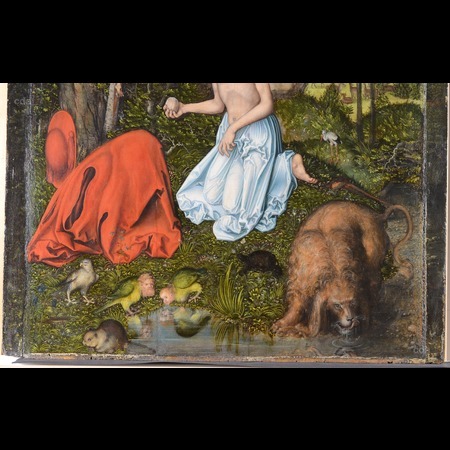 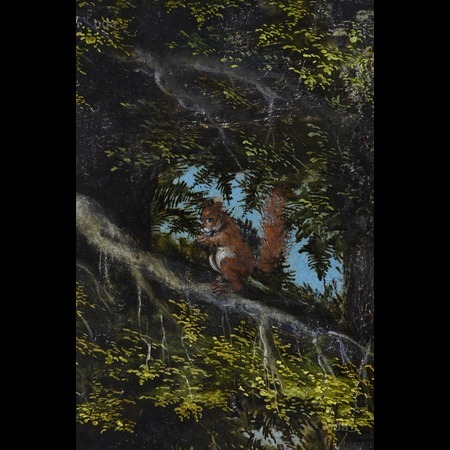 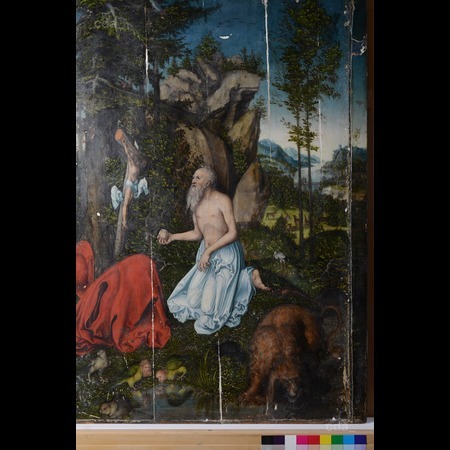 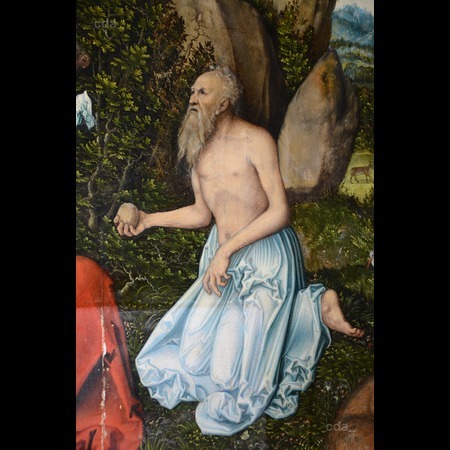 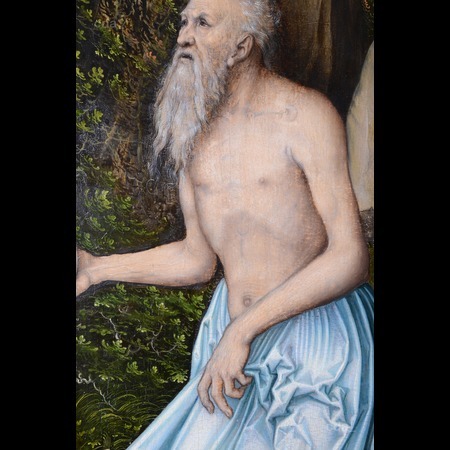 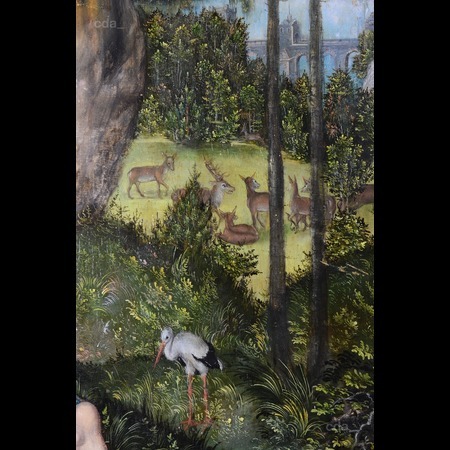 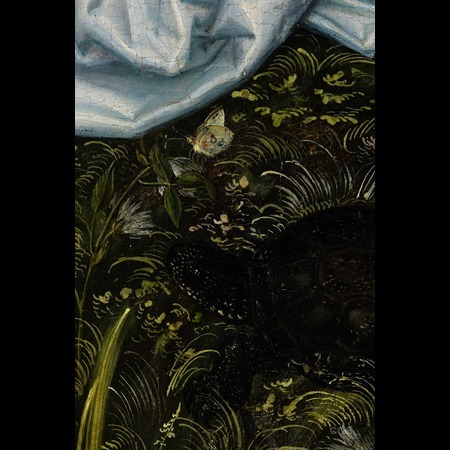 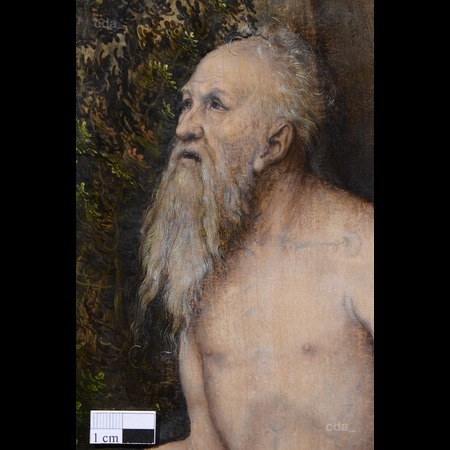 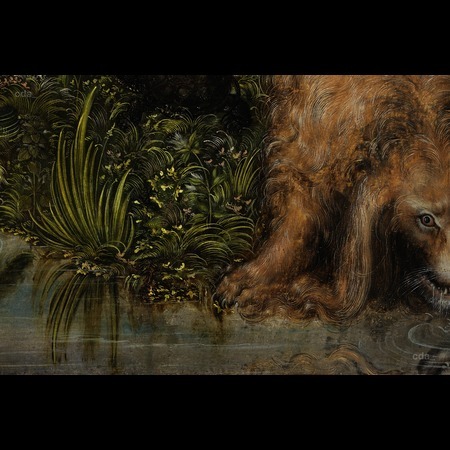 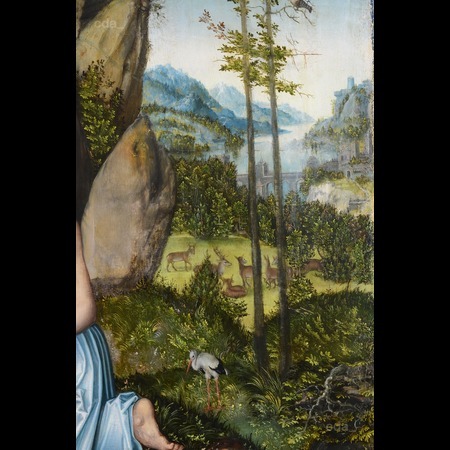 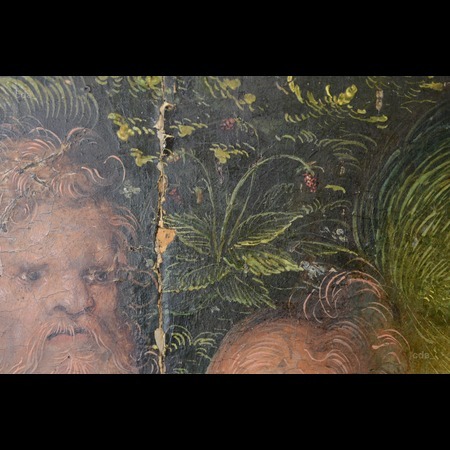 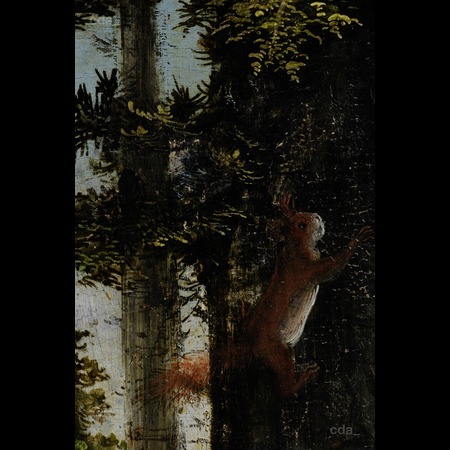 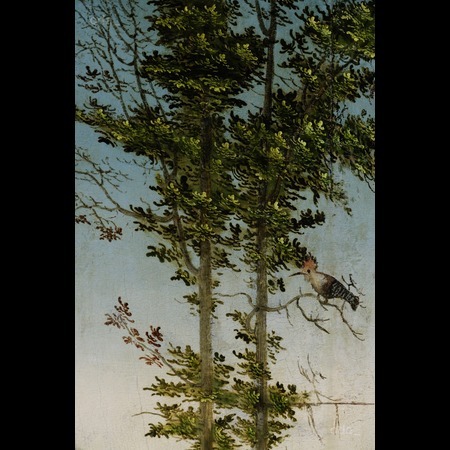 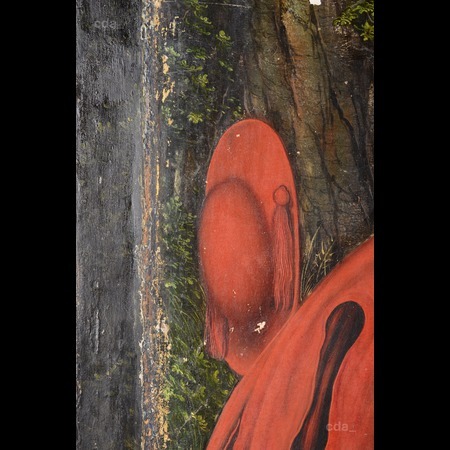 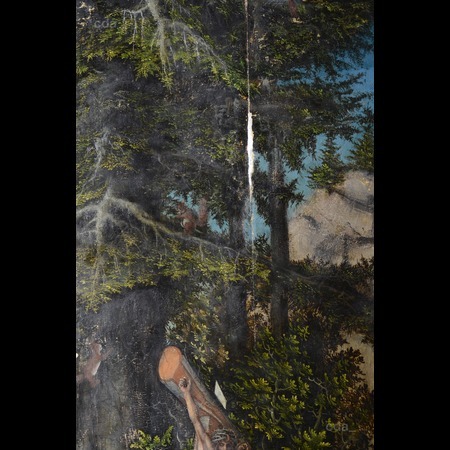 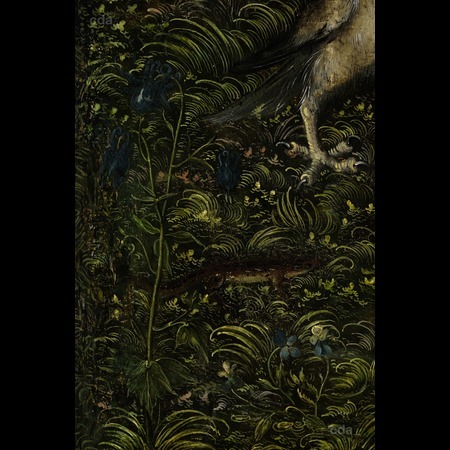 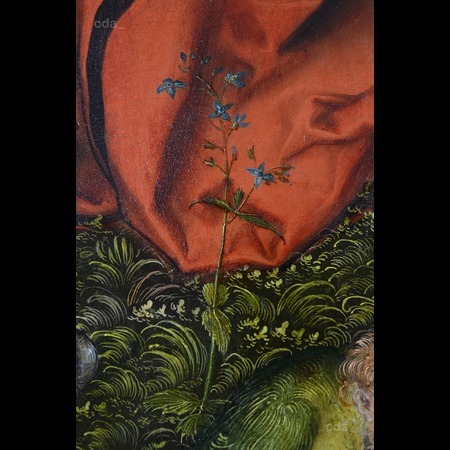 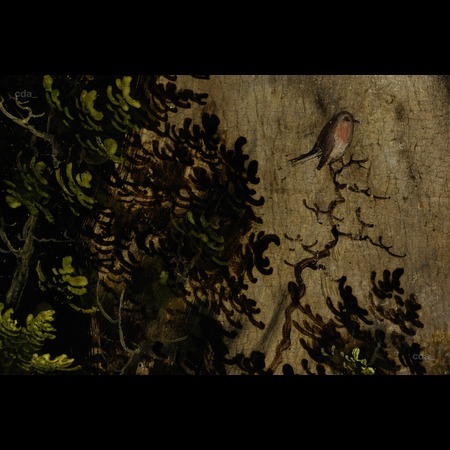 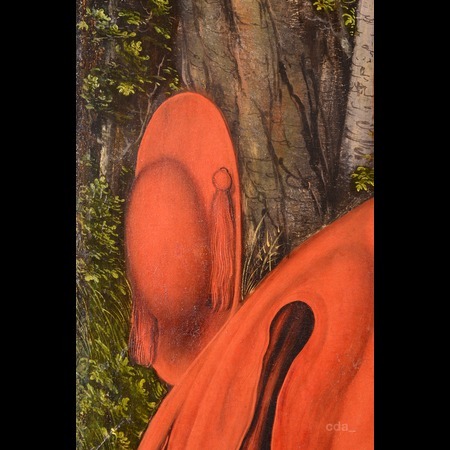 - Lucas Cranach the Elder or a member of his workshop? 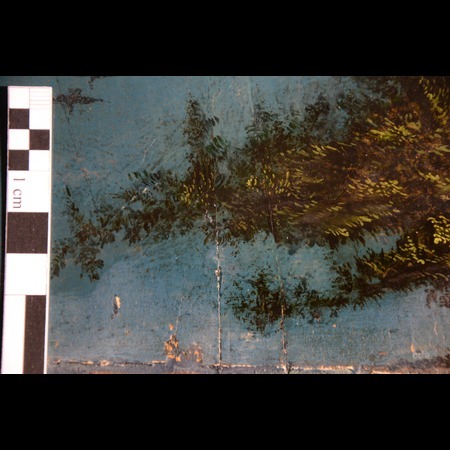 The reverse of the panel was surface cleaned with a hoover. 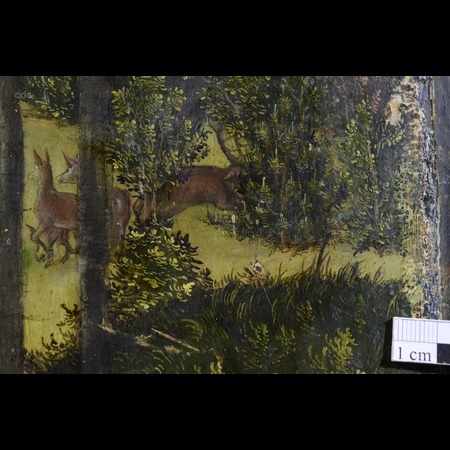 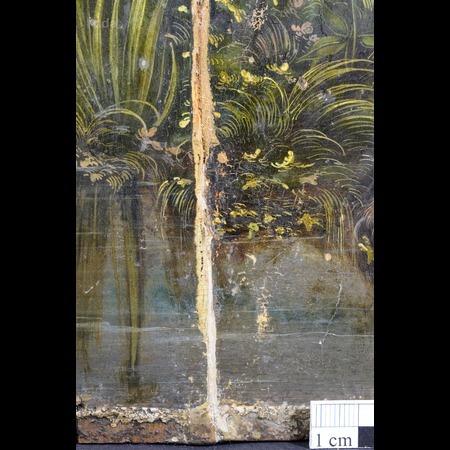 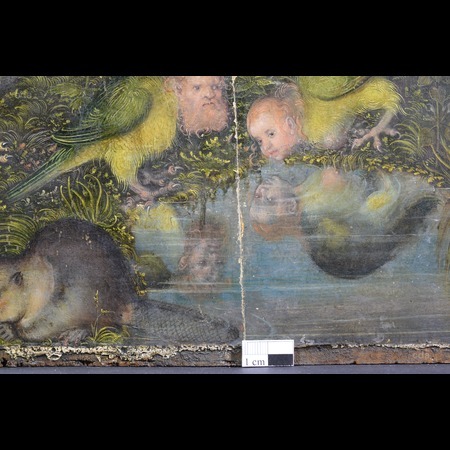 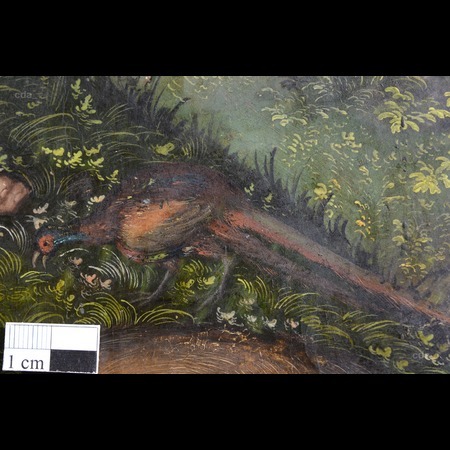 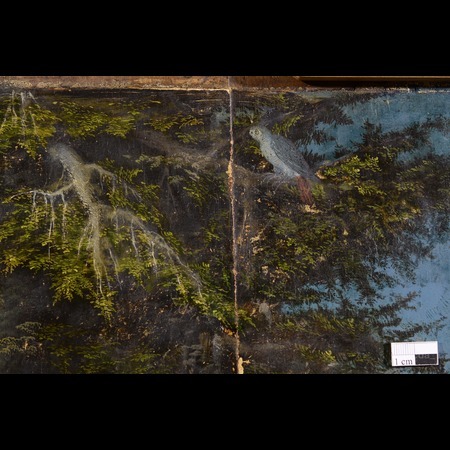 The painted surface was cleaned first dry and then with a slightly damp sponge (Mikroporenschwämmchen, Deffner & Johann). 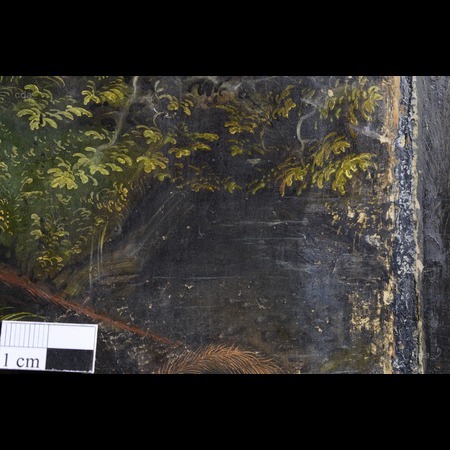 Then the varnish was first thinned employing a mixture of Isooctane and Isopropanol (50:50 volume parts) and removed as far a possible. 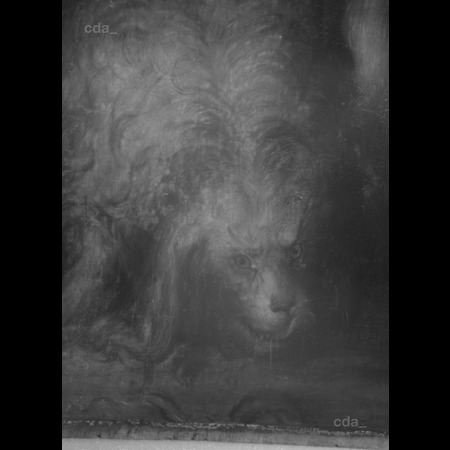 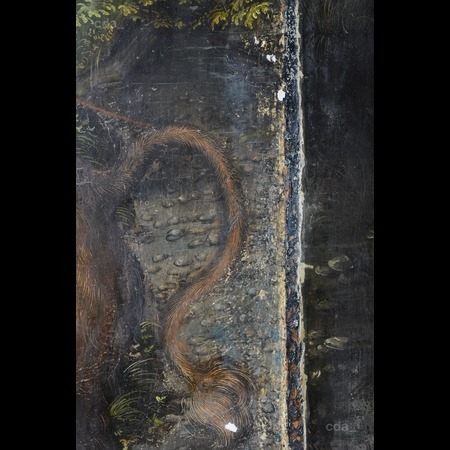 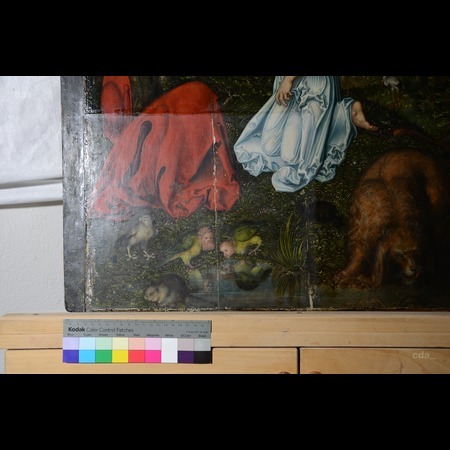 In the dark areas of the painting previous solvent action had rendered the paint very sensitive to the solvent mixture making it soluble. 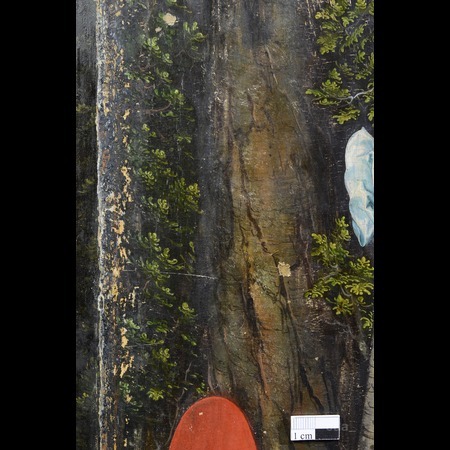 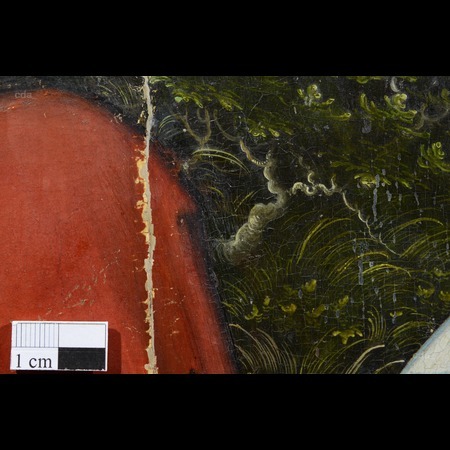 Here a thin layer of the old varnish was retained. 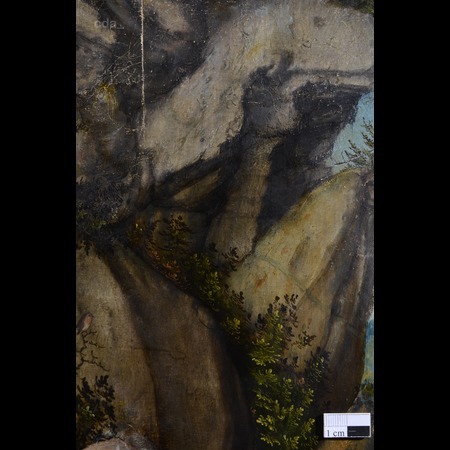 The blackish-grey painted area with the rocky outcrop in the background was particularly affected. 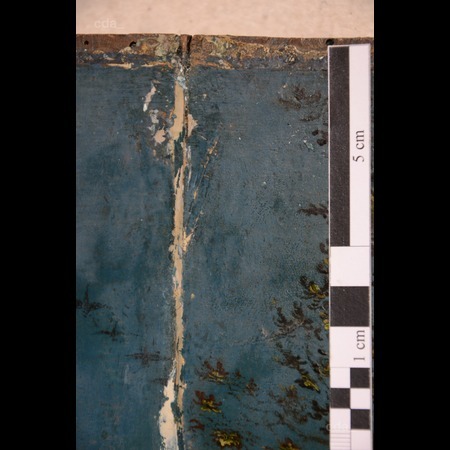 In contrast the green or lighter zones were surprisingly robust with resect to the action of the solvent mixture. 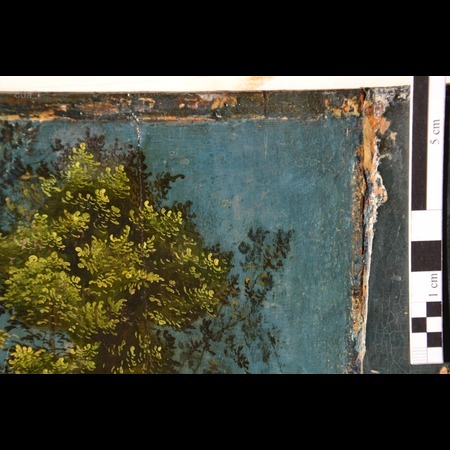 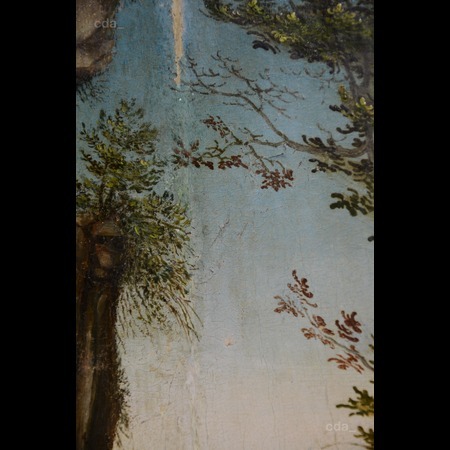 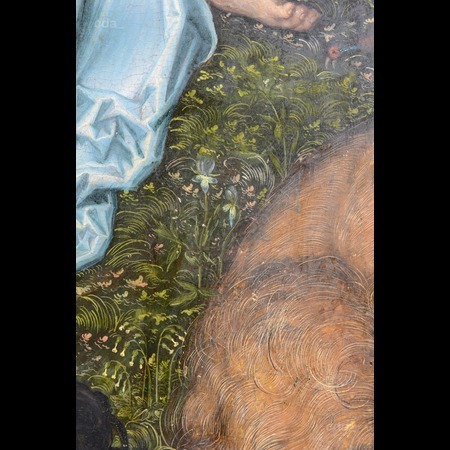 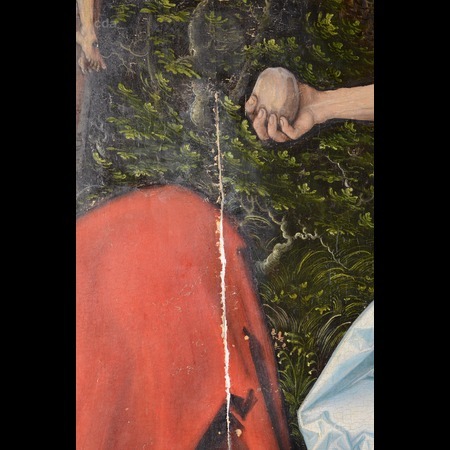 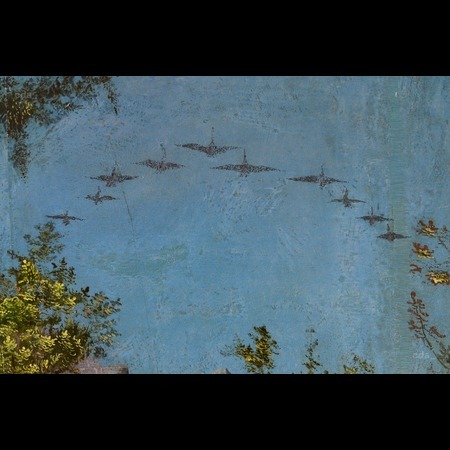 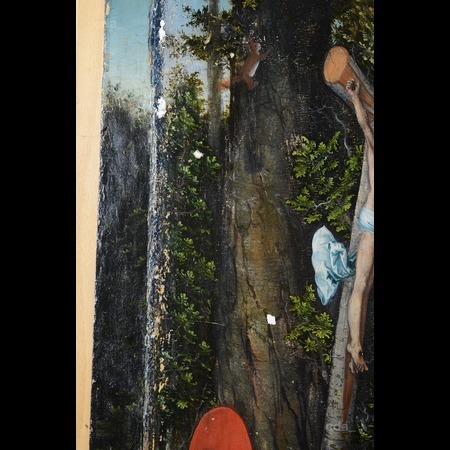 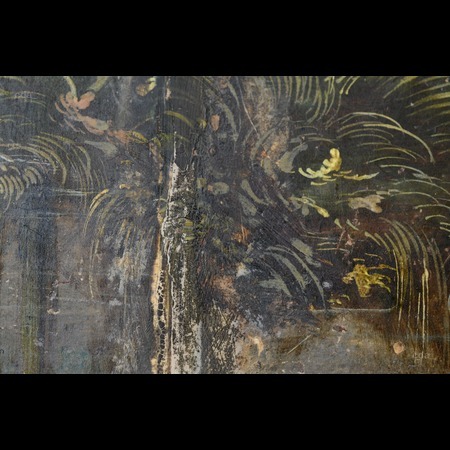 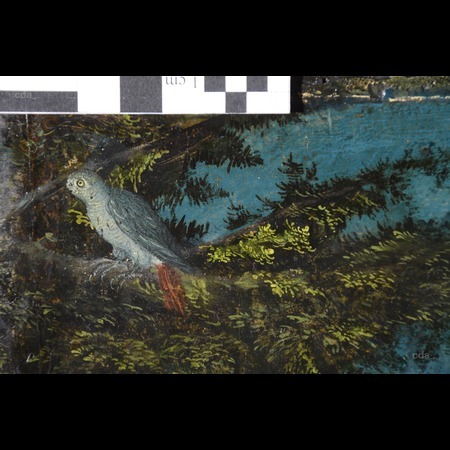 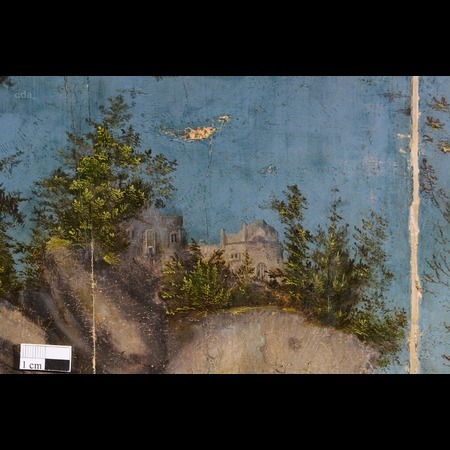 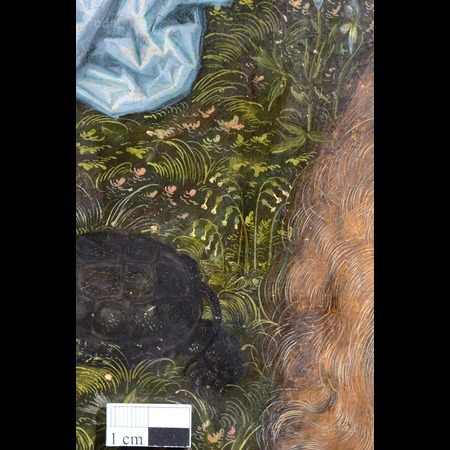 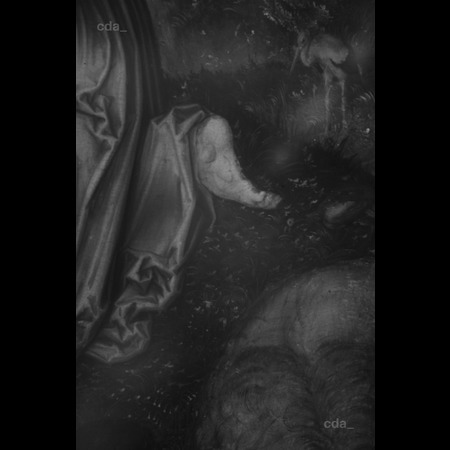 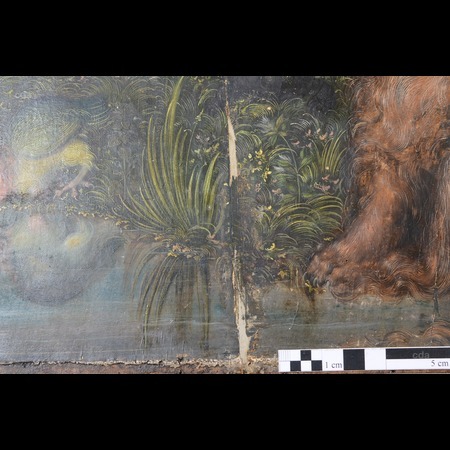 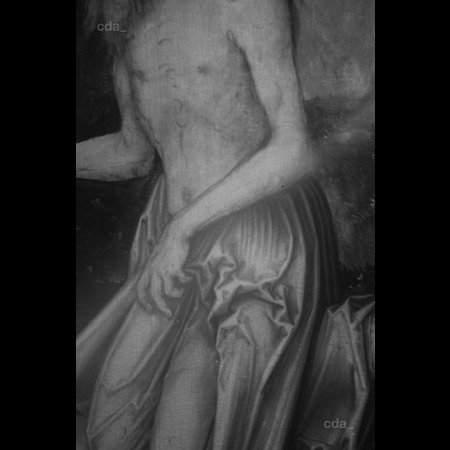 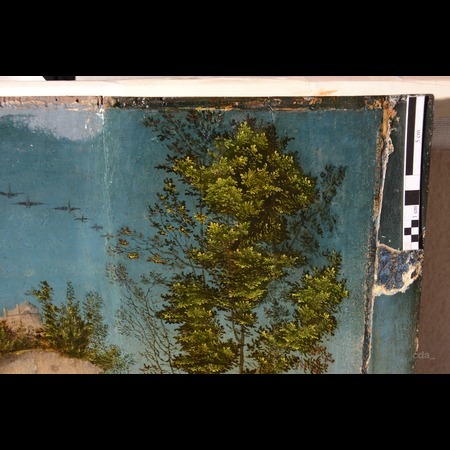 The old, thickly applied retouches and overpaint that extended beyond the areas of loss were removed with undiluted Isopropanol or mechanically with a scalpel. 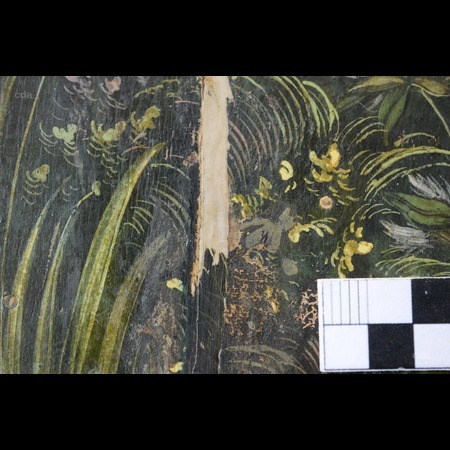 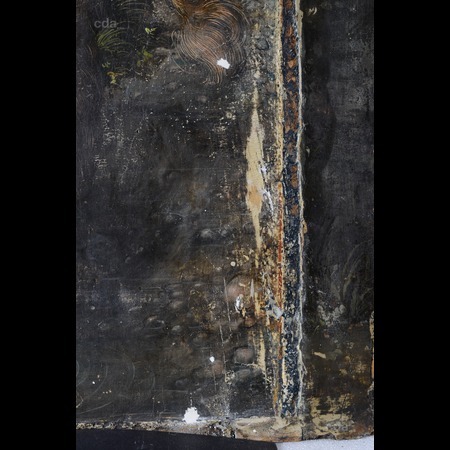 The extensive fills covering the area along the joins, where the planks were not flush, was removed mechanically with a scalpel under the microscope. 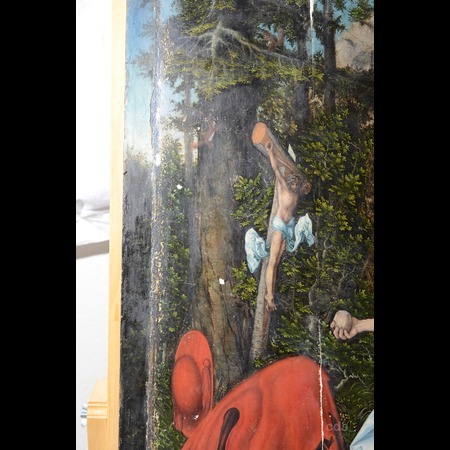 A considerable amount of original paint was revealed. 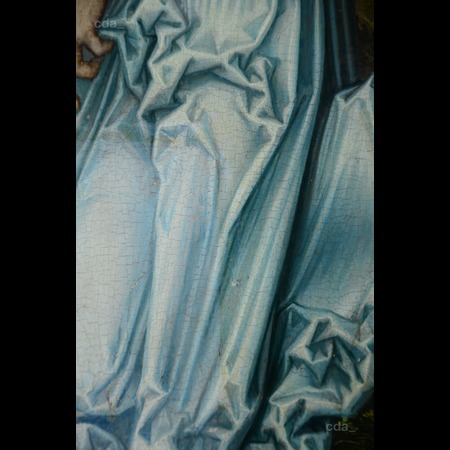 Losses were filled with a glue-chalk fill material. 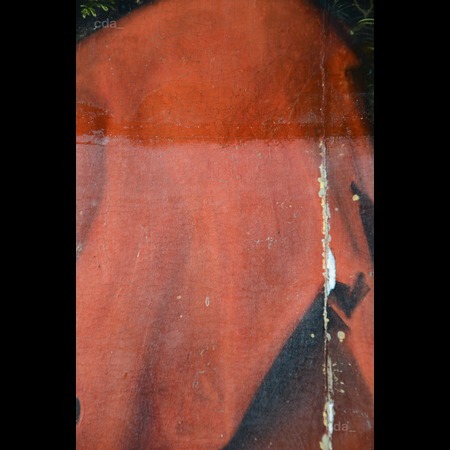 A dammar varnish was applied with a ball to achieve a thin isolating layer. 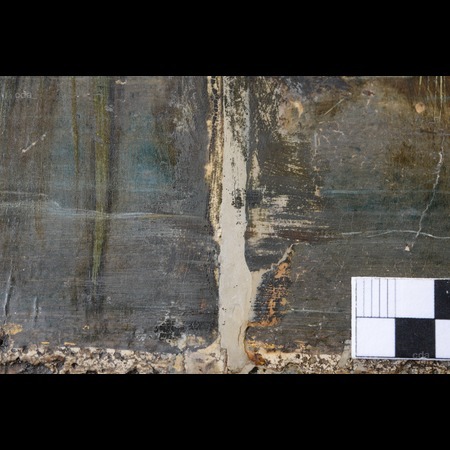 Then the surface of the fills were isolated with schellac. 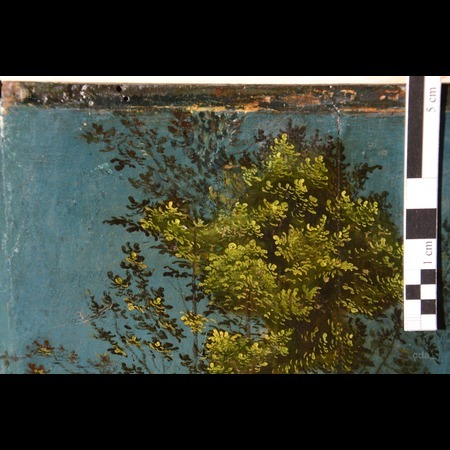 Retouching was carried out employing Gamblin Colors using 1-Methoxy-2-Propanol as a diluent. 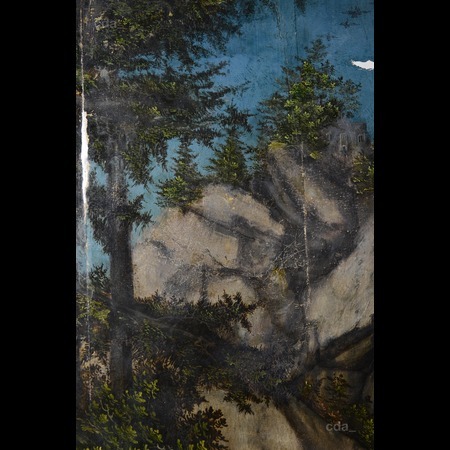 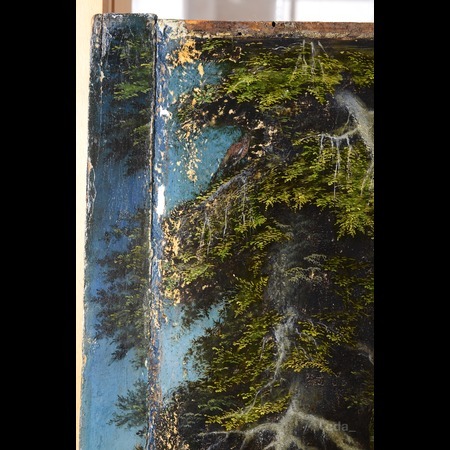 Finally the painting was sprayed with a thin application of dammar varnish and polished with a soft goat hair brush. 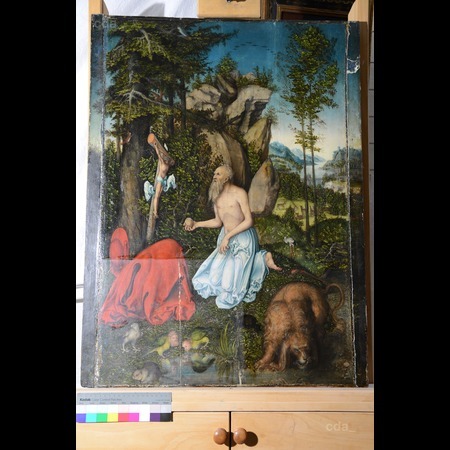 It was then fitted in the frame with a glass pane (flabeg ARTControl 100) with UV-protection. 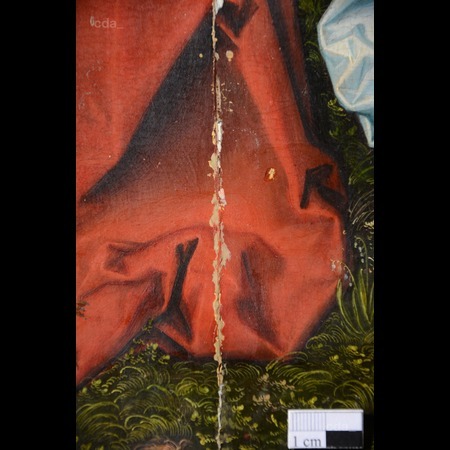 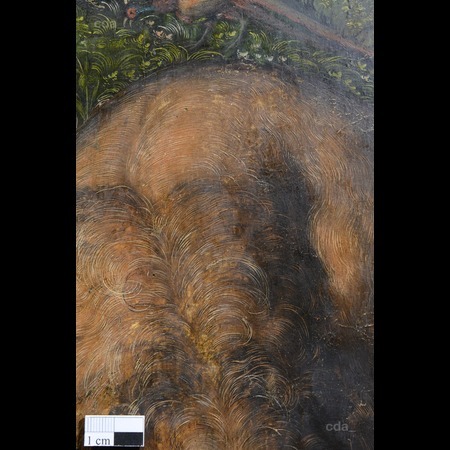 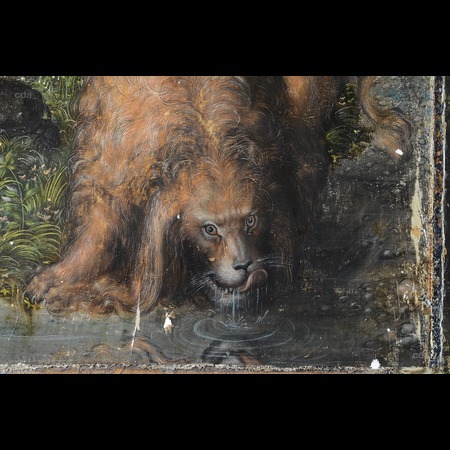 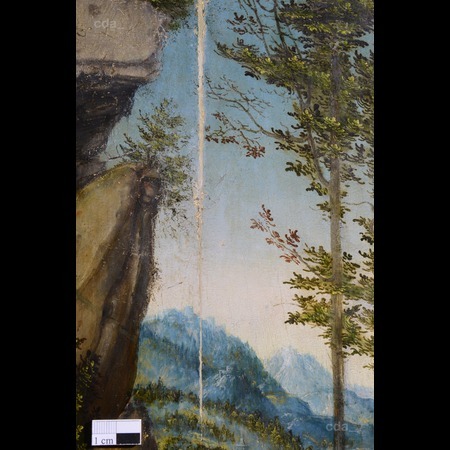 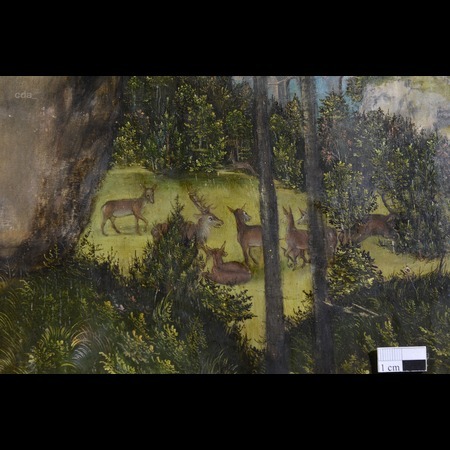 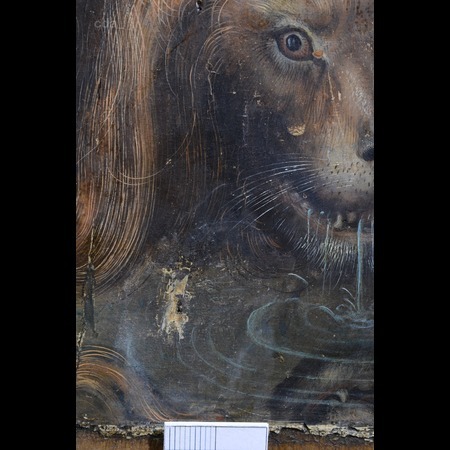 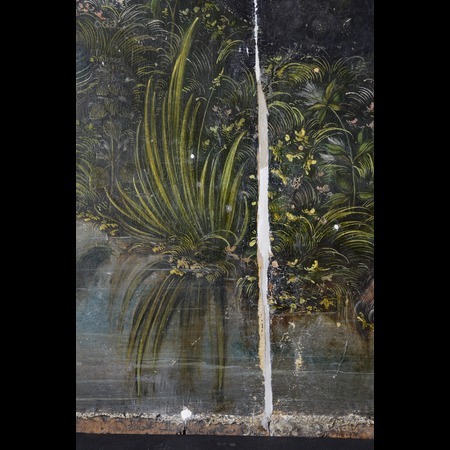 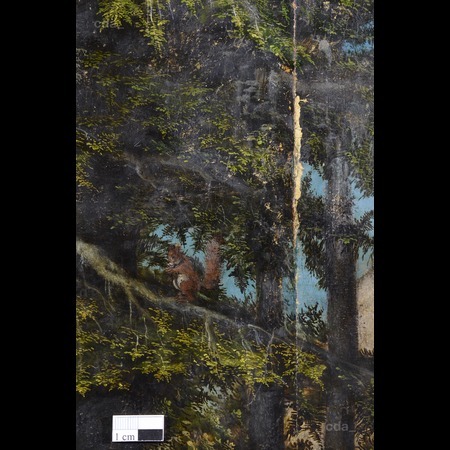 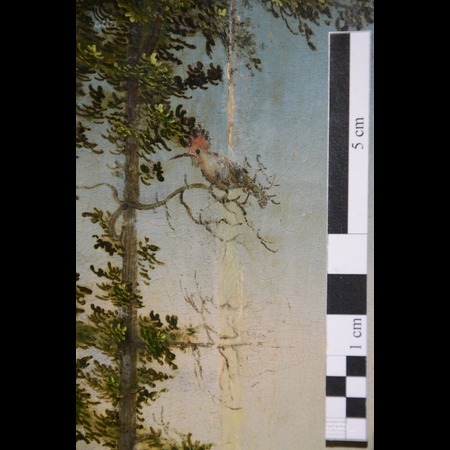 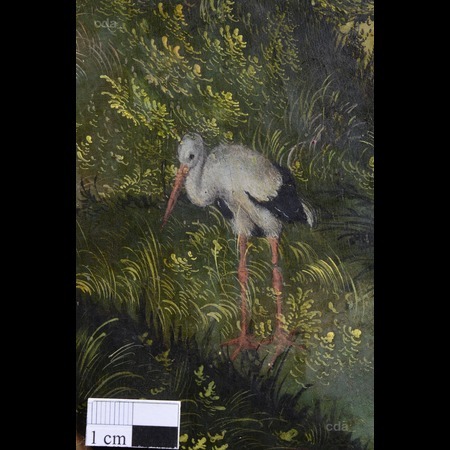 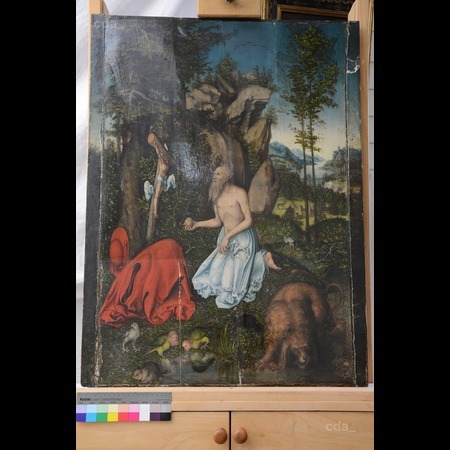 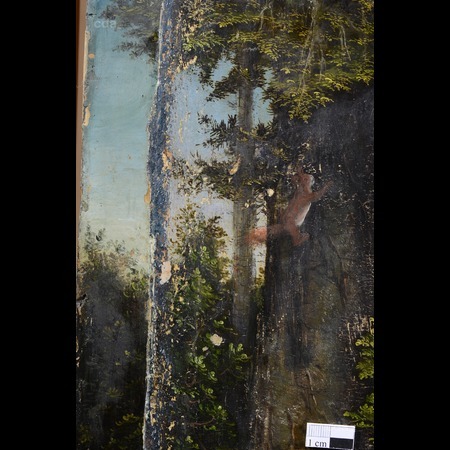 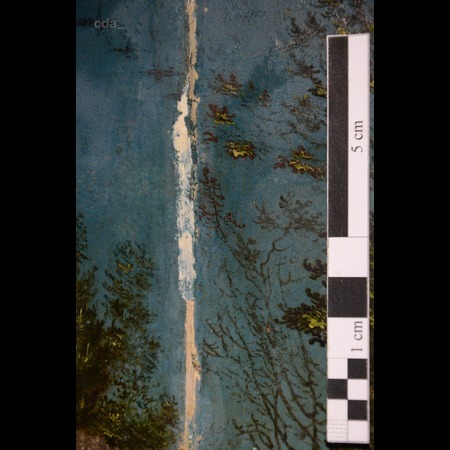 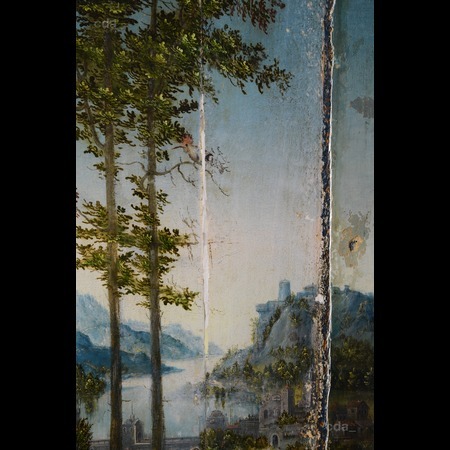 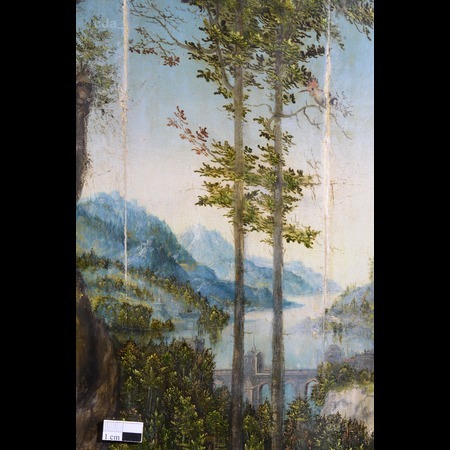 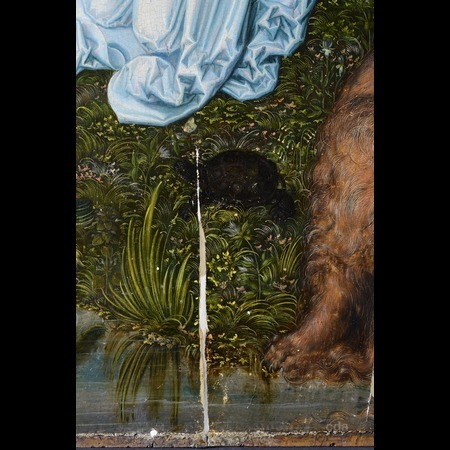 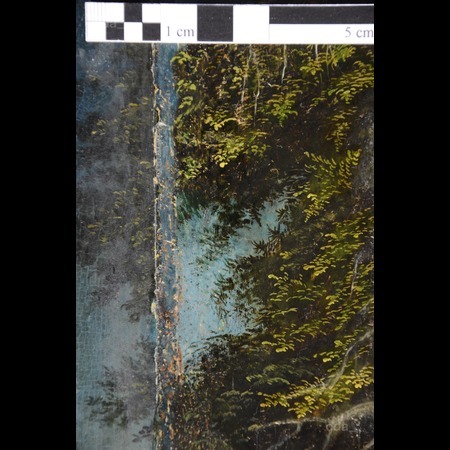 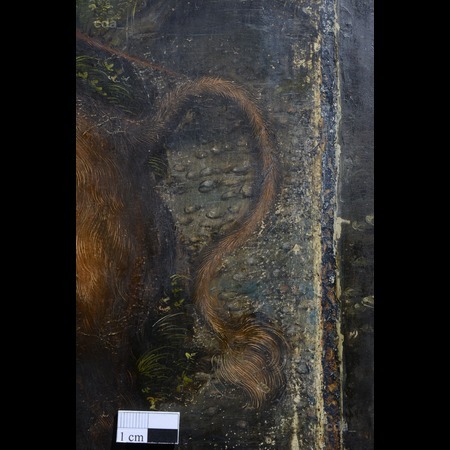 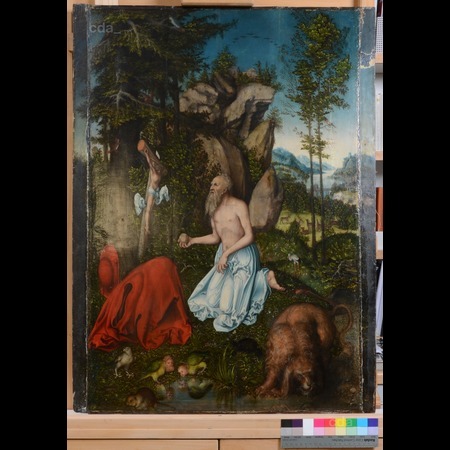 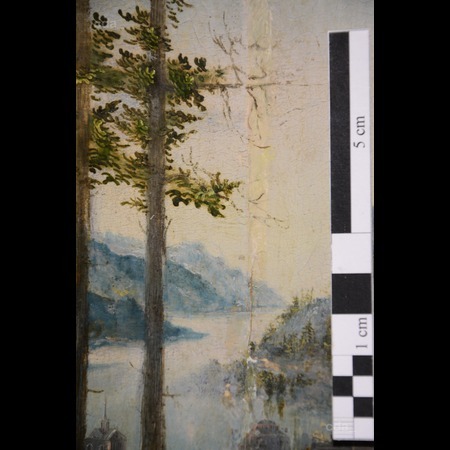 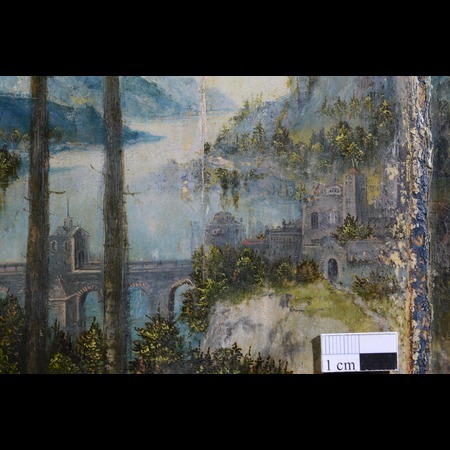 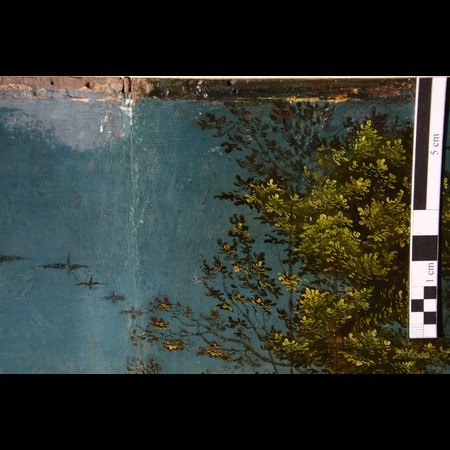 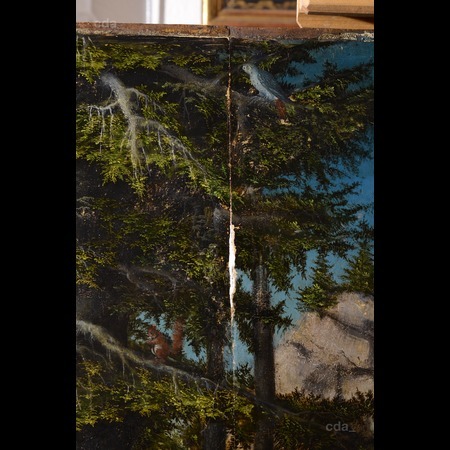 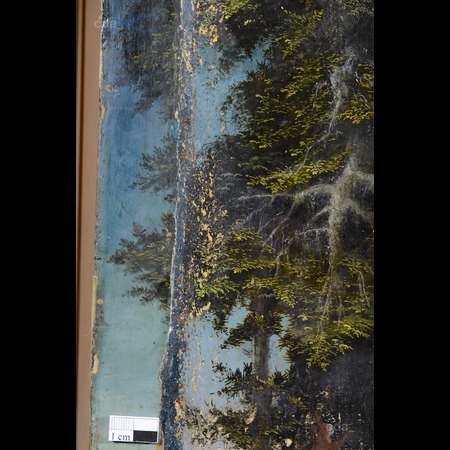 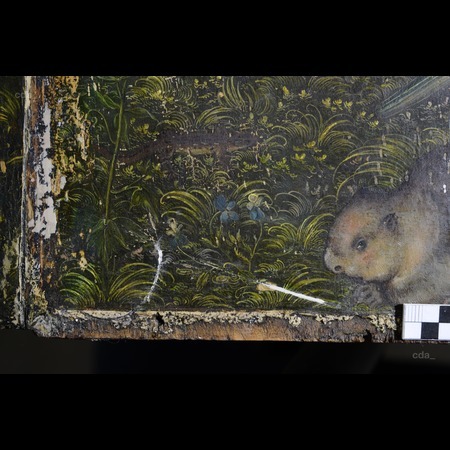 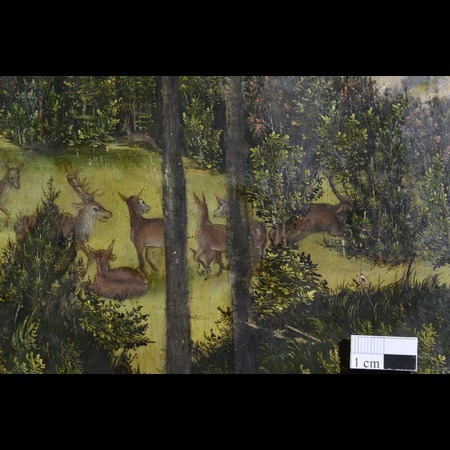 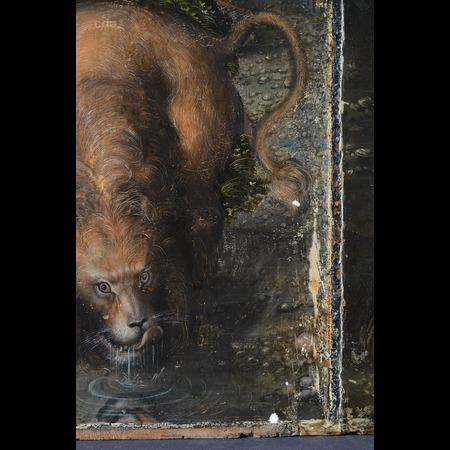 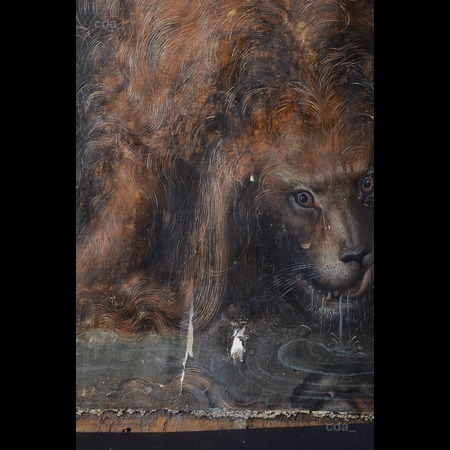 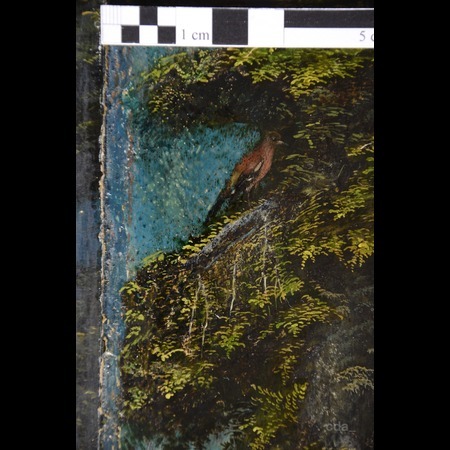 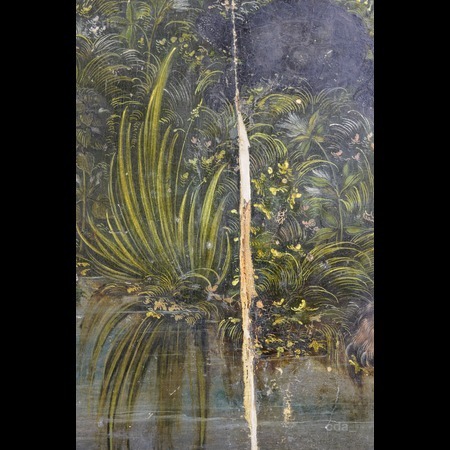 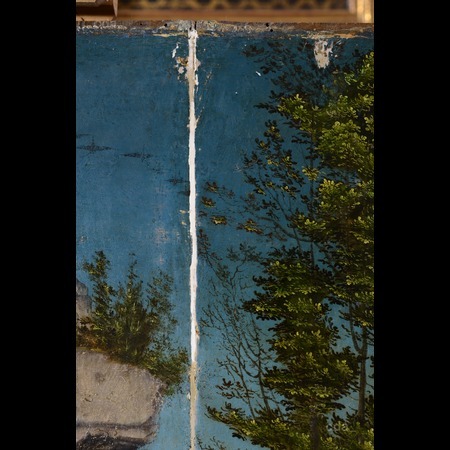 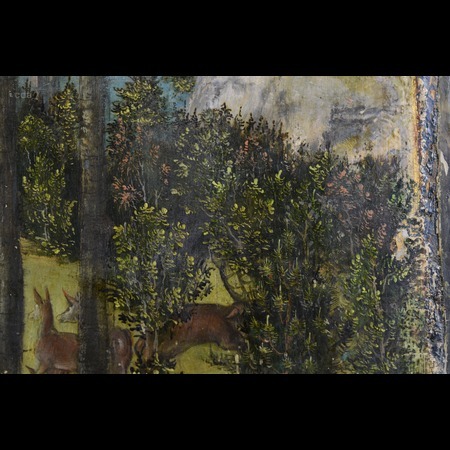 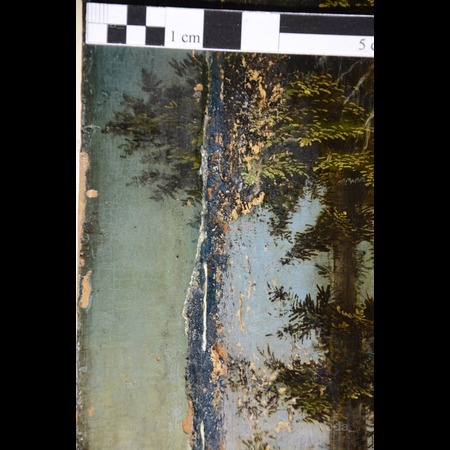 The rebate of the frame had been cleaned and a slip was inserted to ensure a suitable distance between the pane and the surface of the painting. 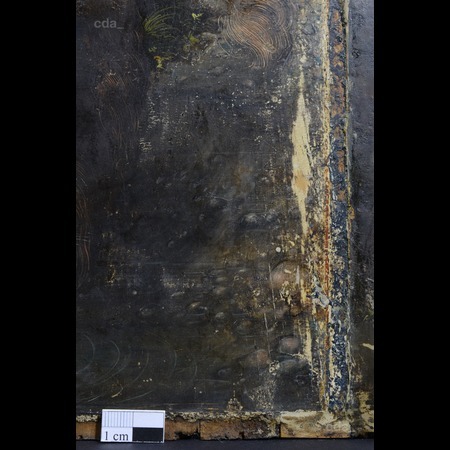 The slip had been painted black and cushioned with felt strips fixed in place with methylcellulose. 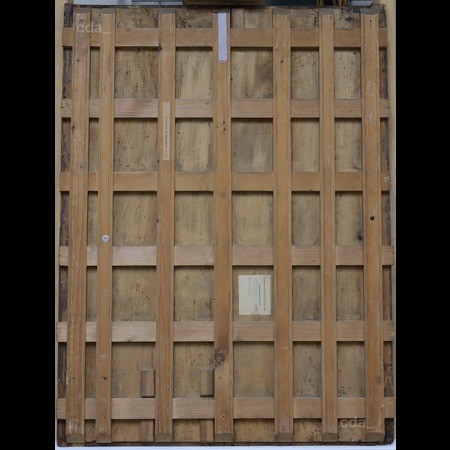 A backboard was mounted on the reverse.